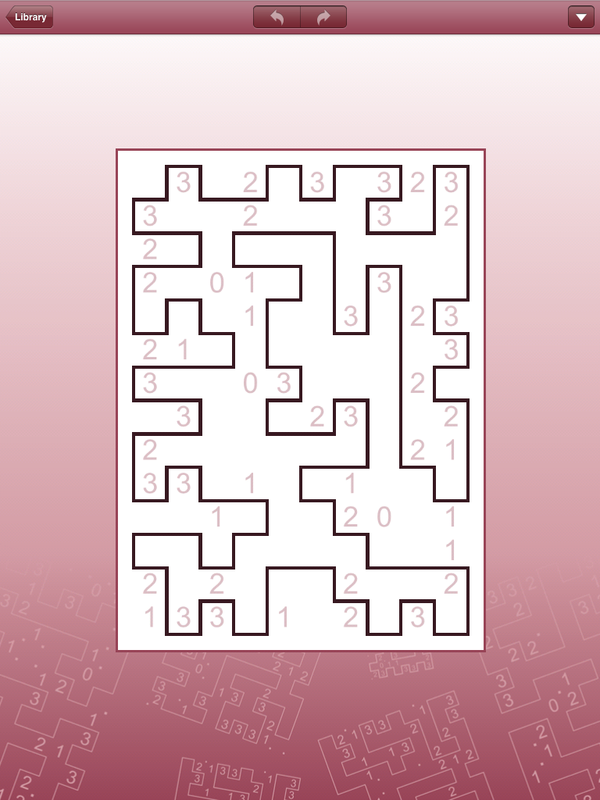 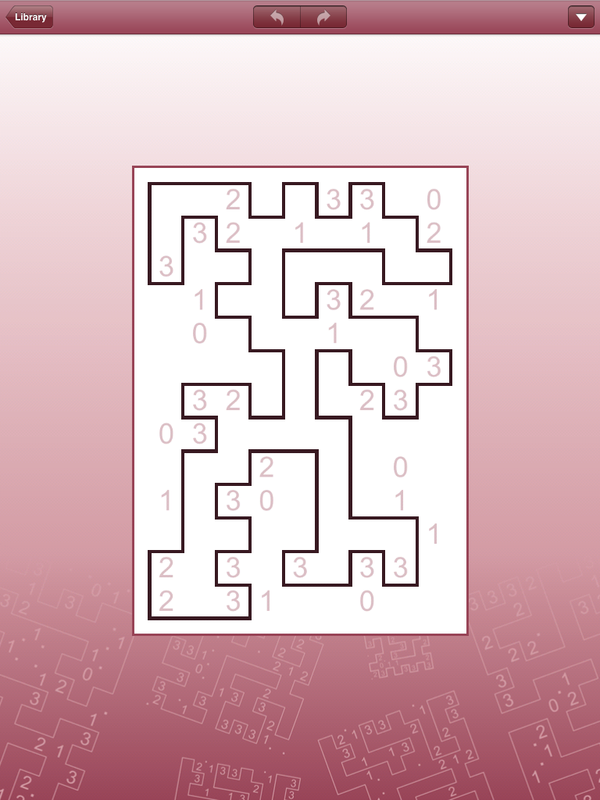 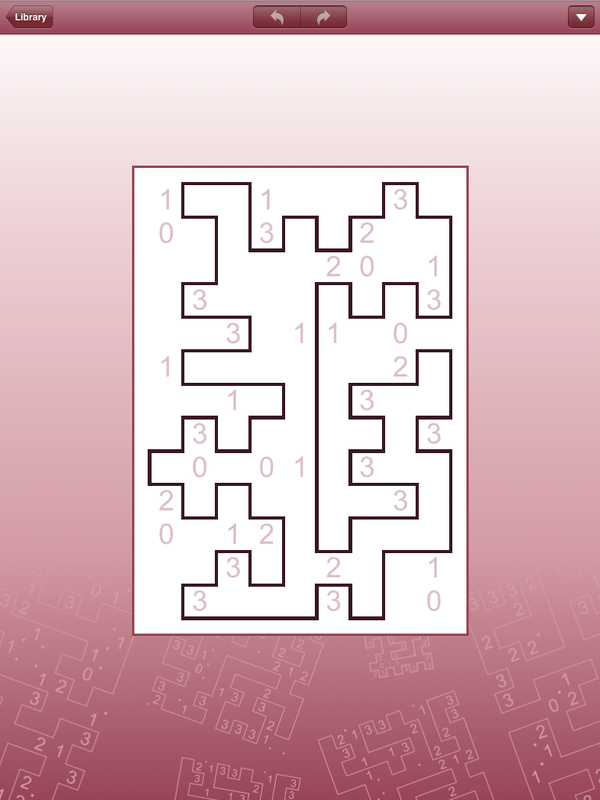 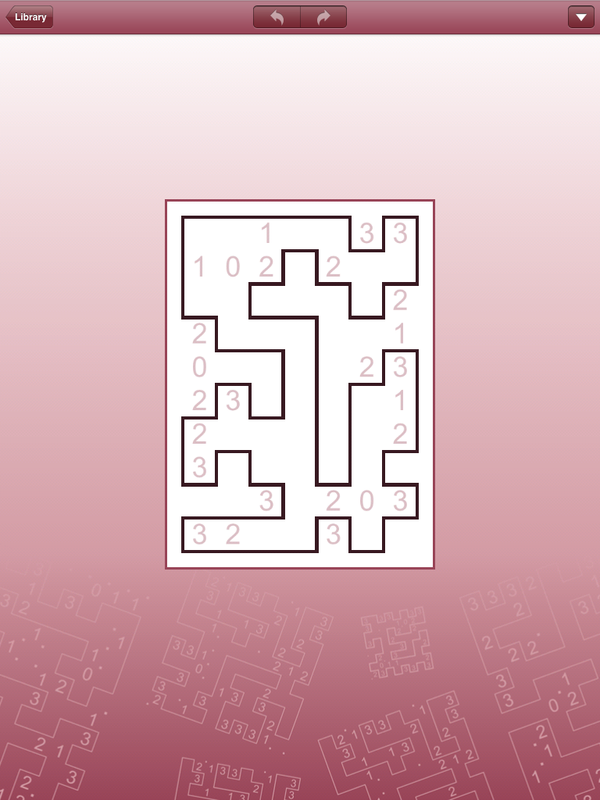 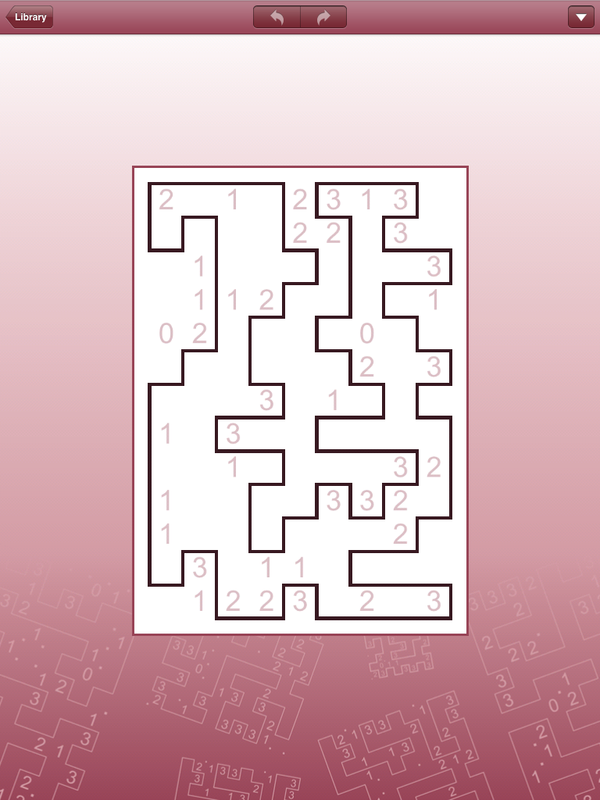 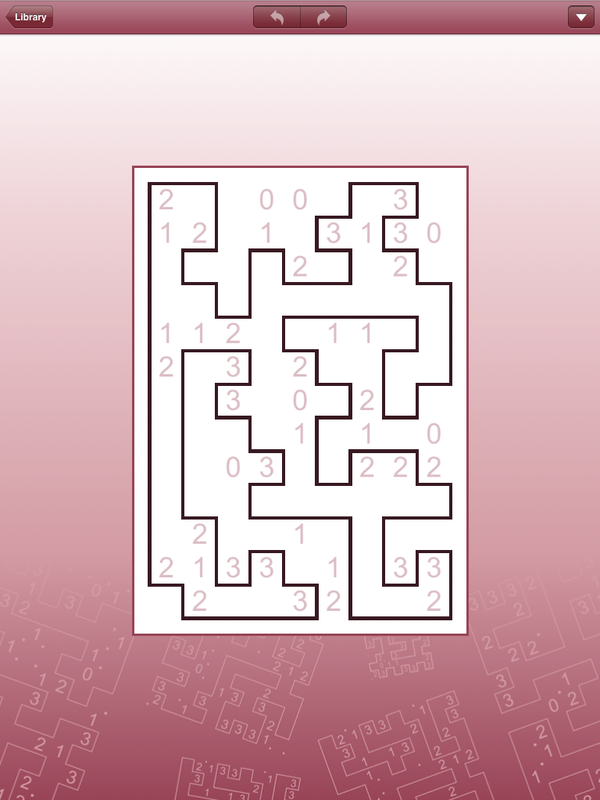 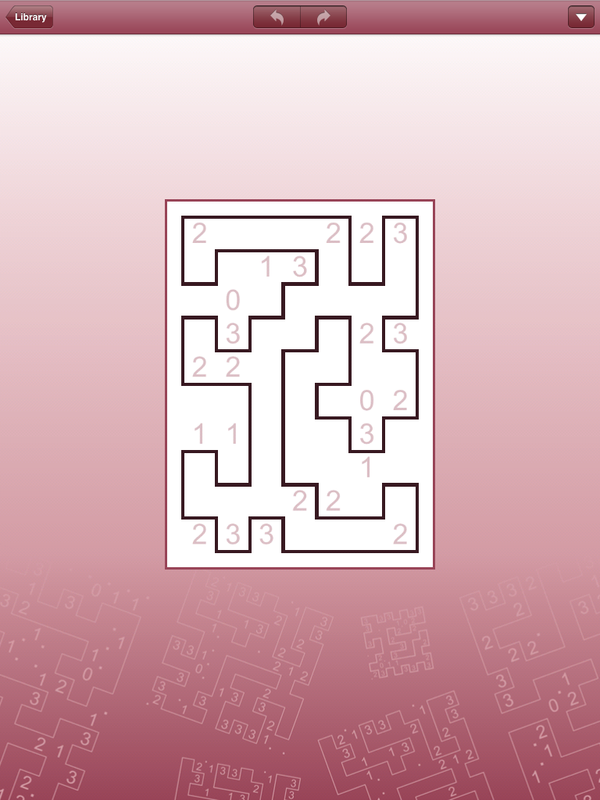 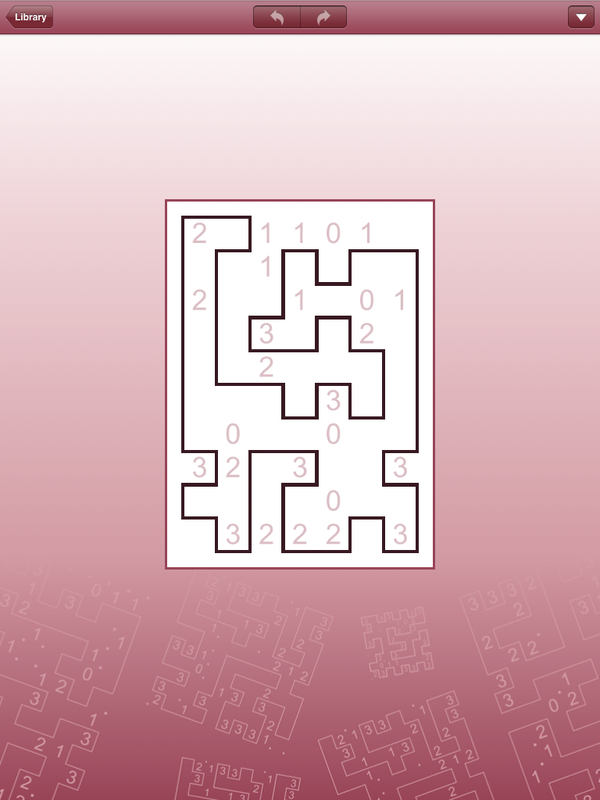 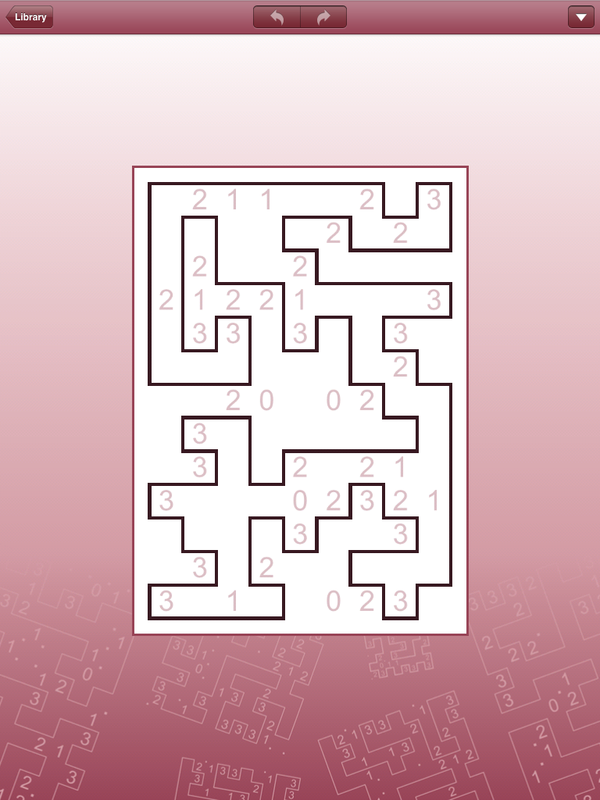 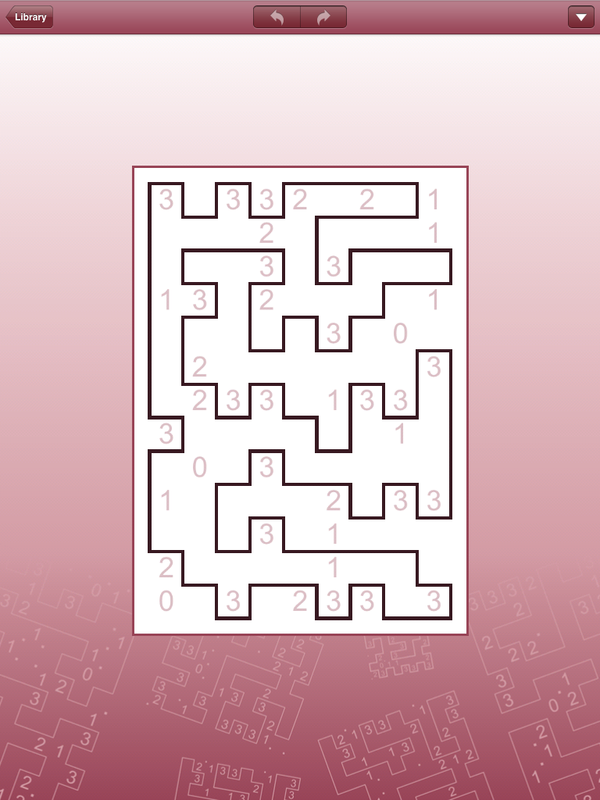 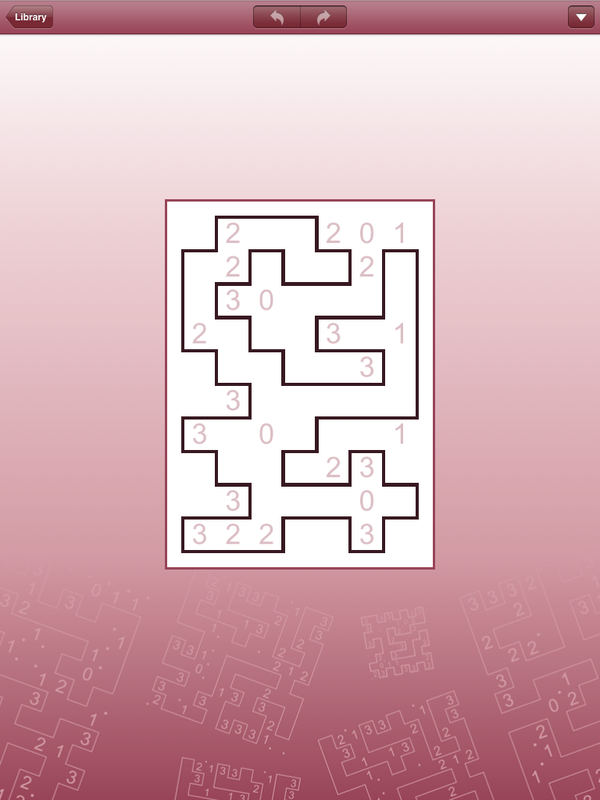 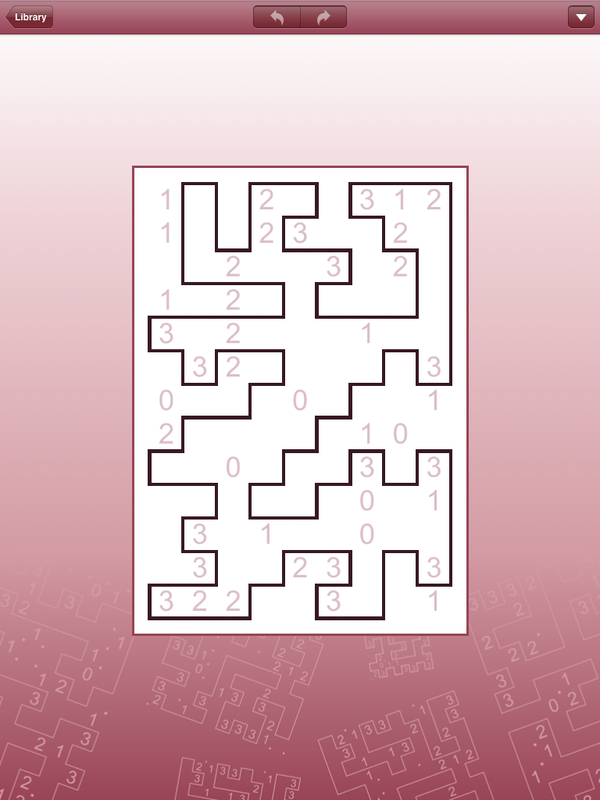 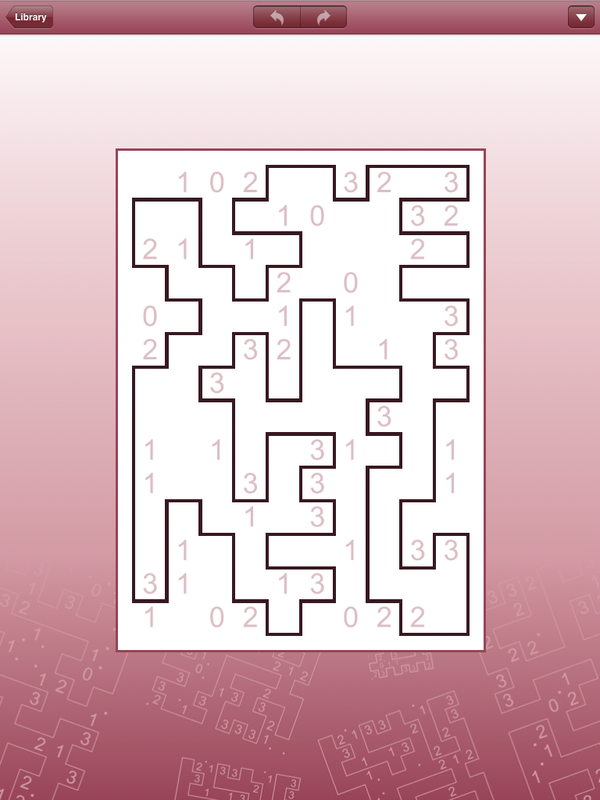 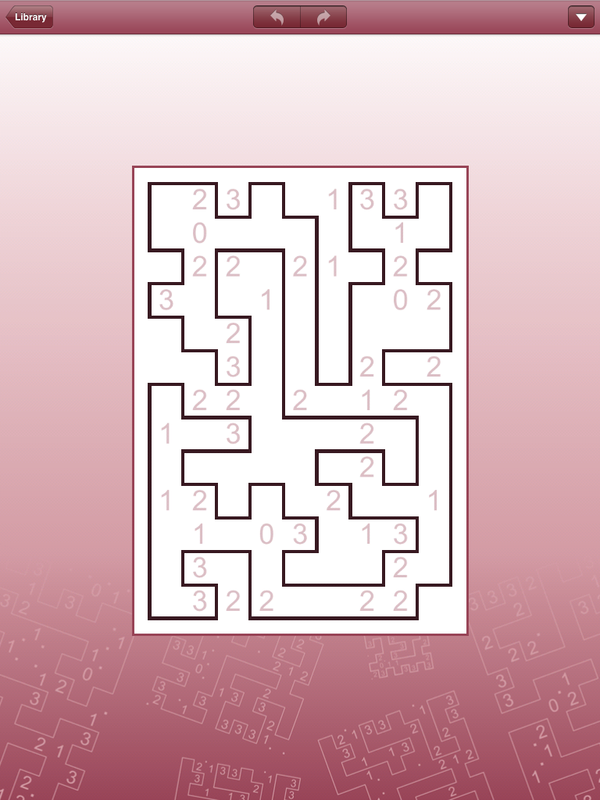 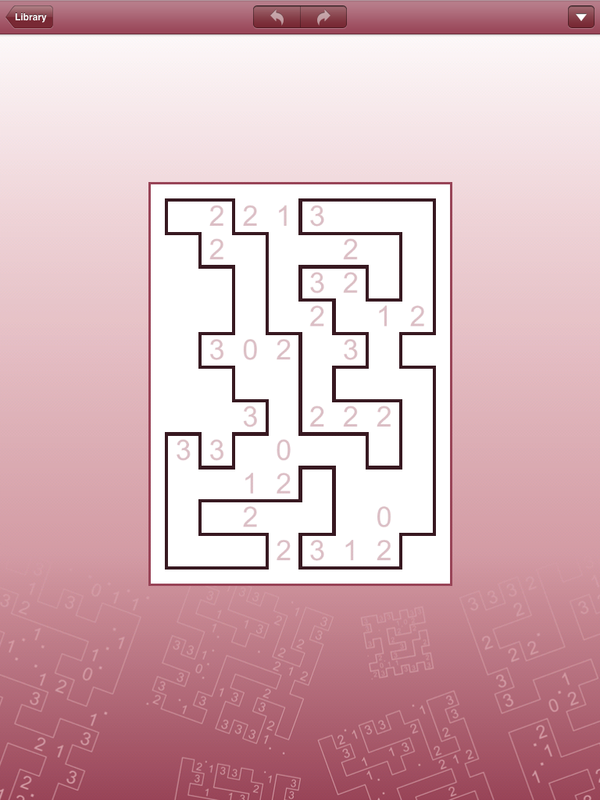 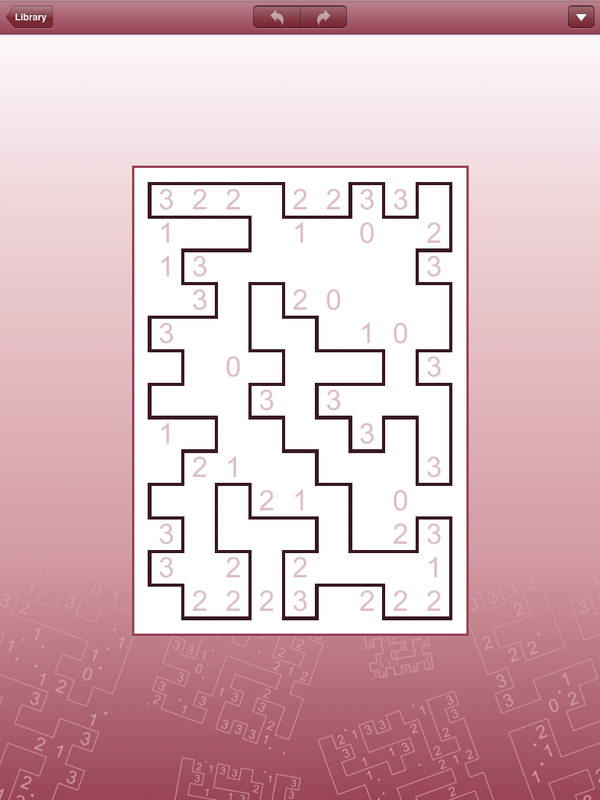 Alternately known as Loop the Loop and Fences, Slitherlink presents you with a grid and tasks you with connecting the dots to form a single closed loop, obeying the numbers on the grid which indicate how many line segments surround the given square. 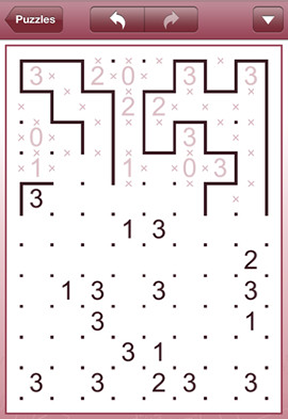 Simply tap a space to add a line segment, tap a line to change it to an X (signifying there is definitely not a line there) or tap one more time to delete. 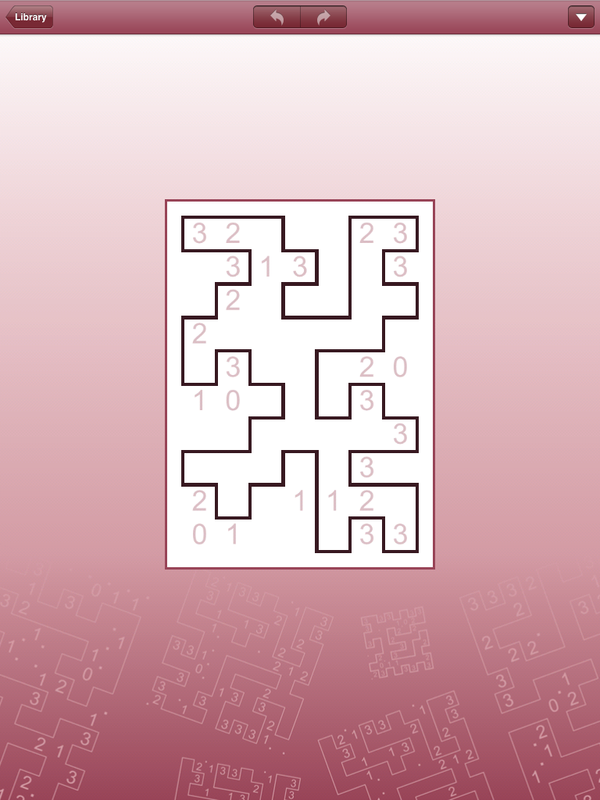 One nice feature is that tapping will default to an X if a given line placement is impossible, which is convenient when you're filling out large sections of a grid. 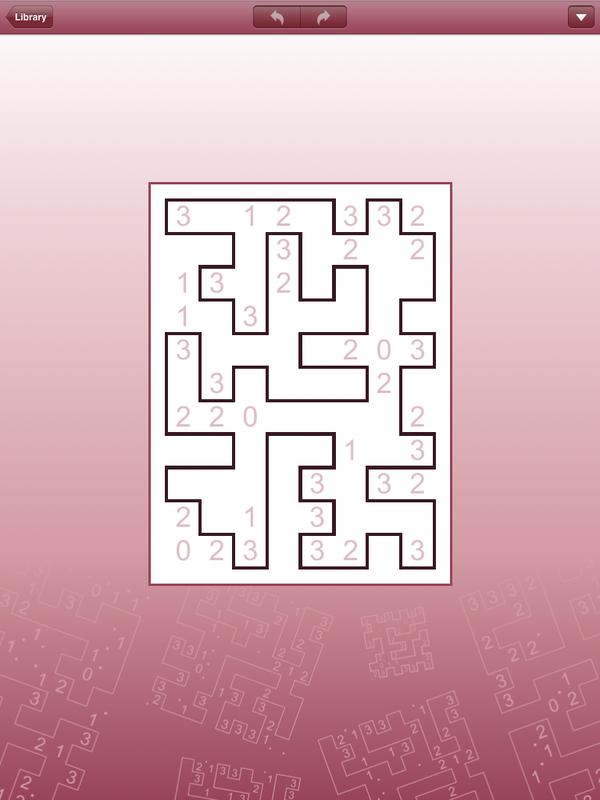 The interface is intuitive and easy to use, and with a few bits of logic and deduction at your side, you'll be well on your way to fencing in numbers like some kind of crazy math farmer. 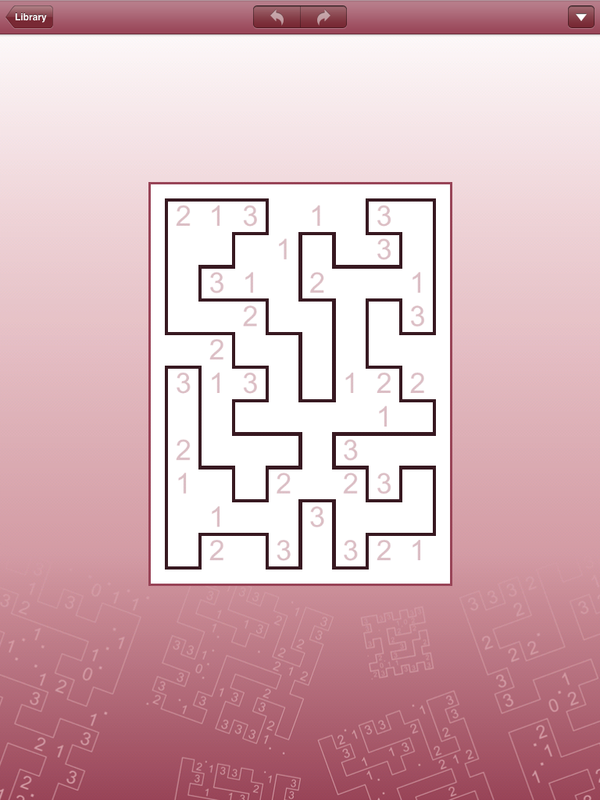 Of course, Conceptis adds in several helpful extras, including tutorials, an error checker and the option to automatically fill in unneeded spaces with an X. 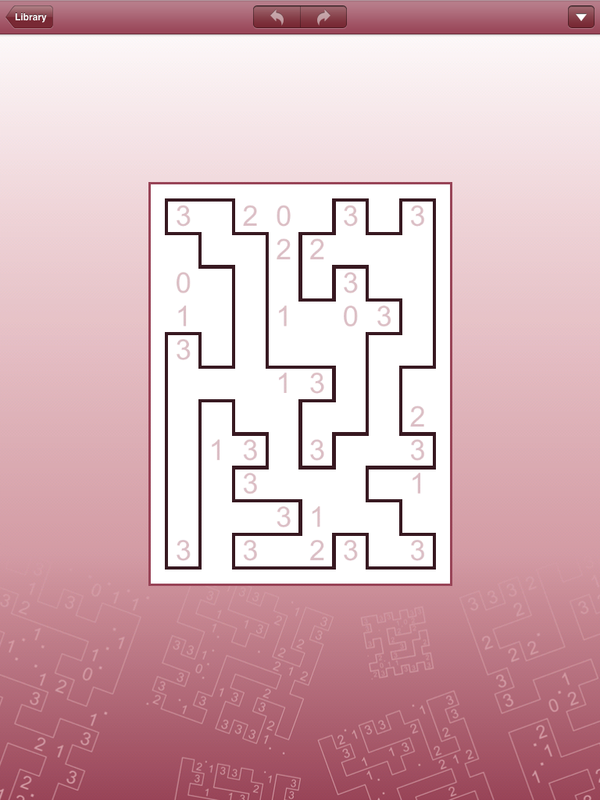 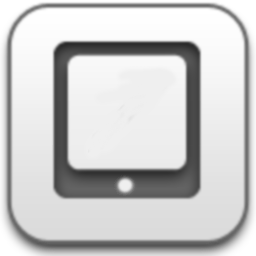 Or, if frustration overcomes you, you can just use the auto-solver. 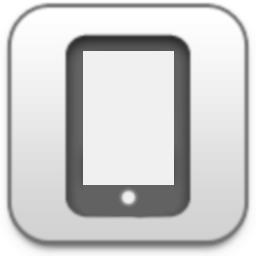 (Look! 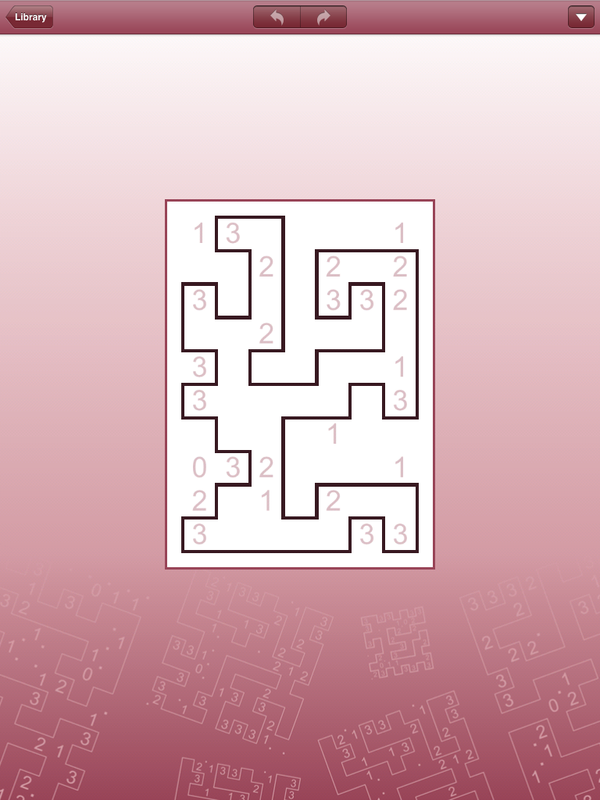 I completed the level in three seconds flat!) 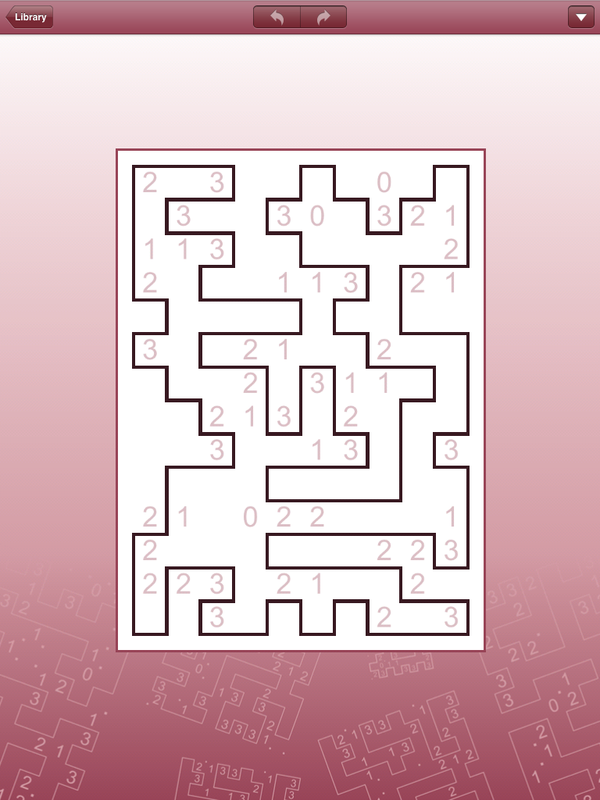 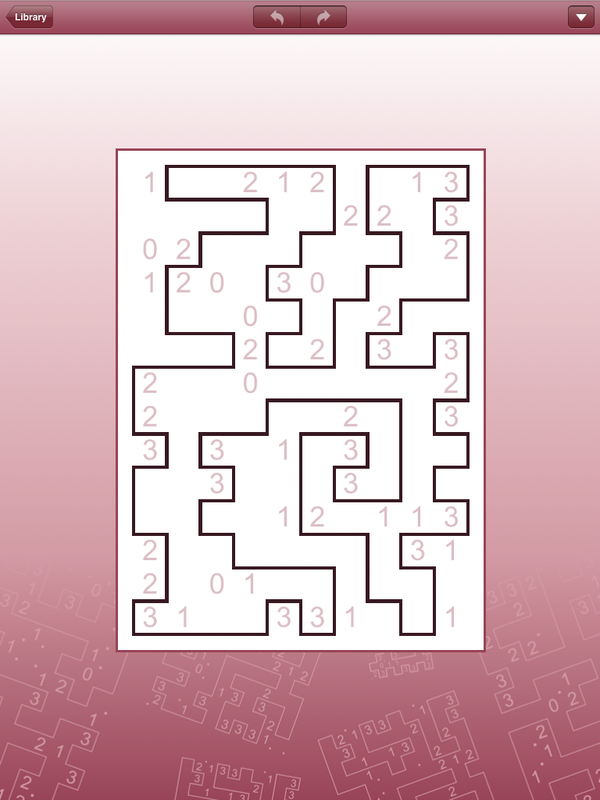 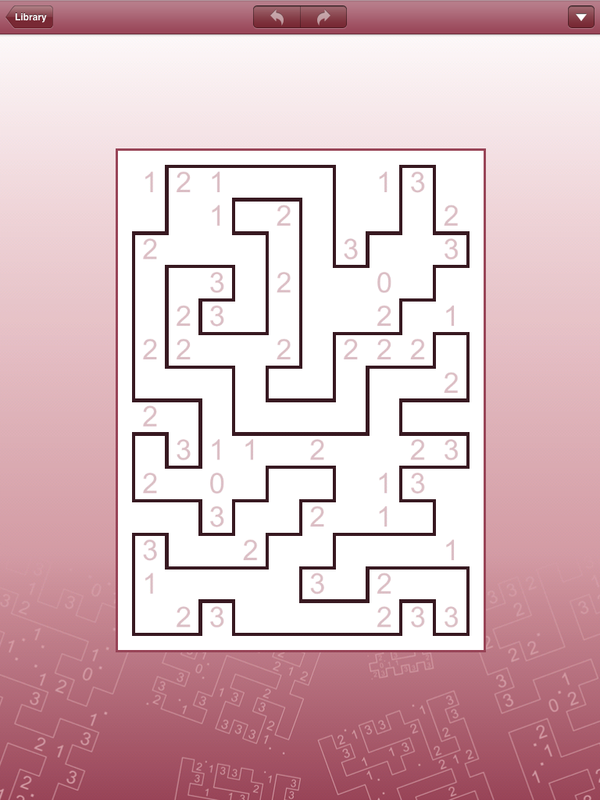 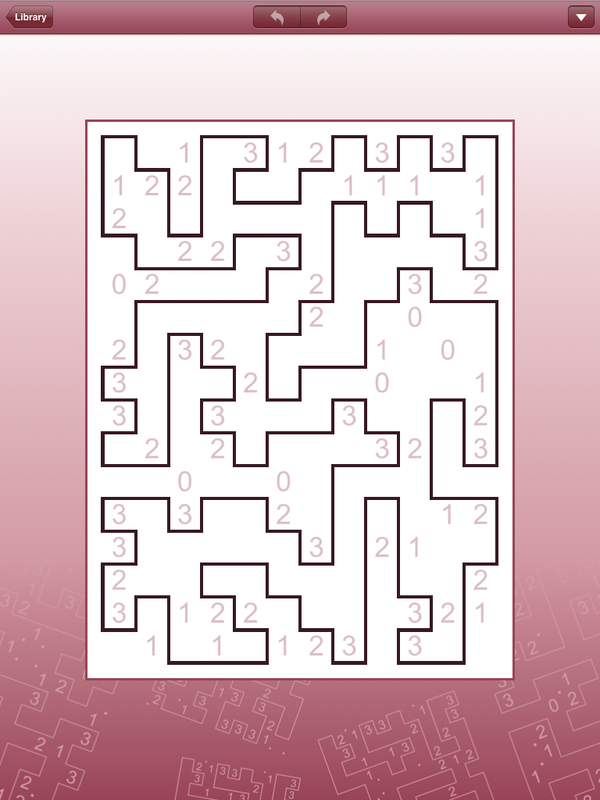 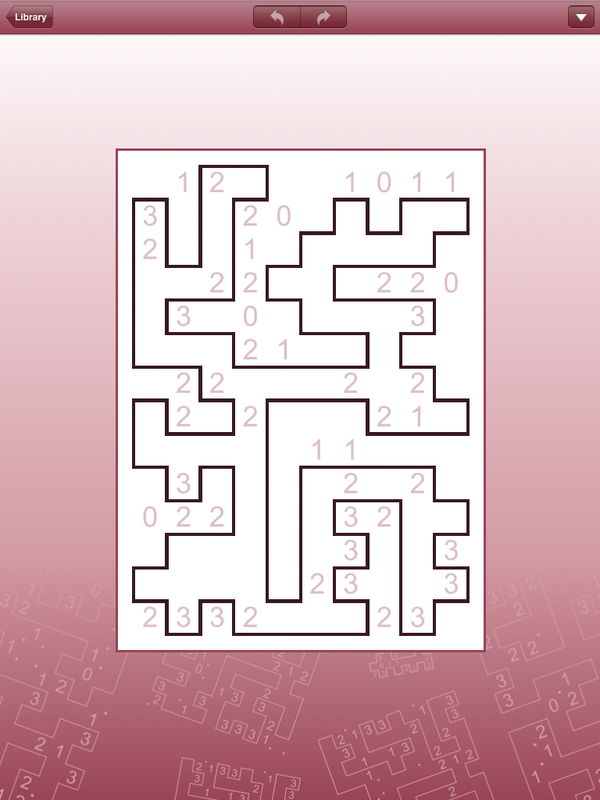 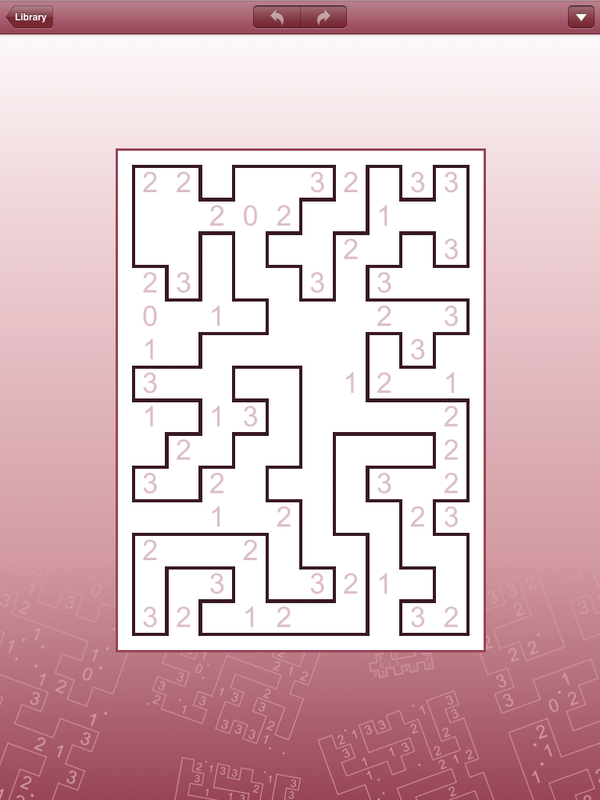 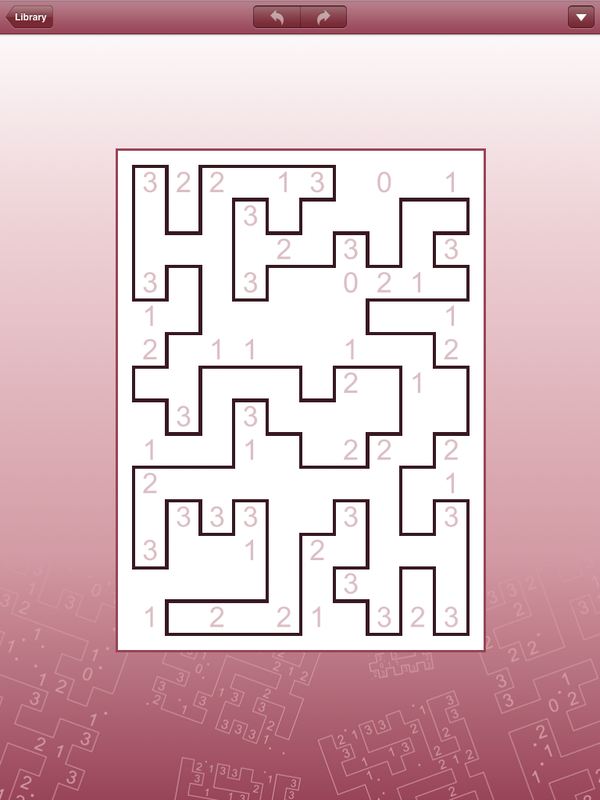 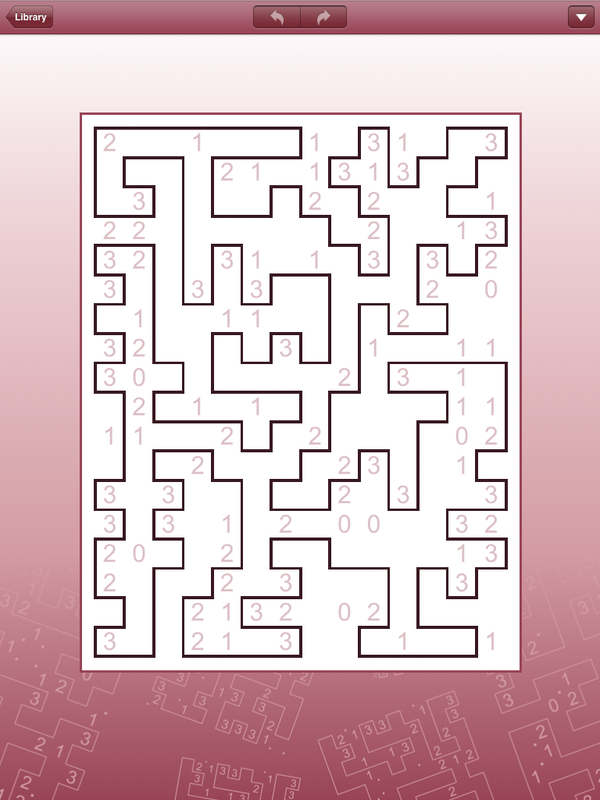 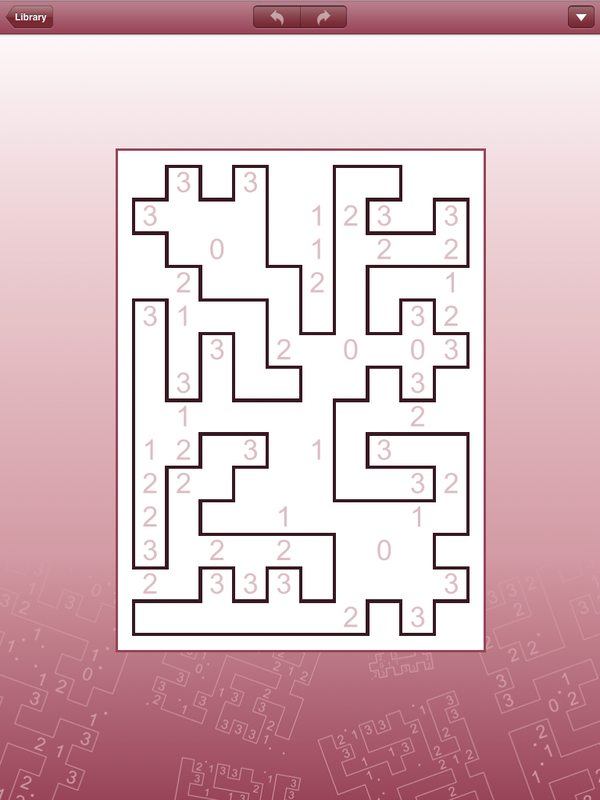 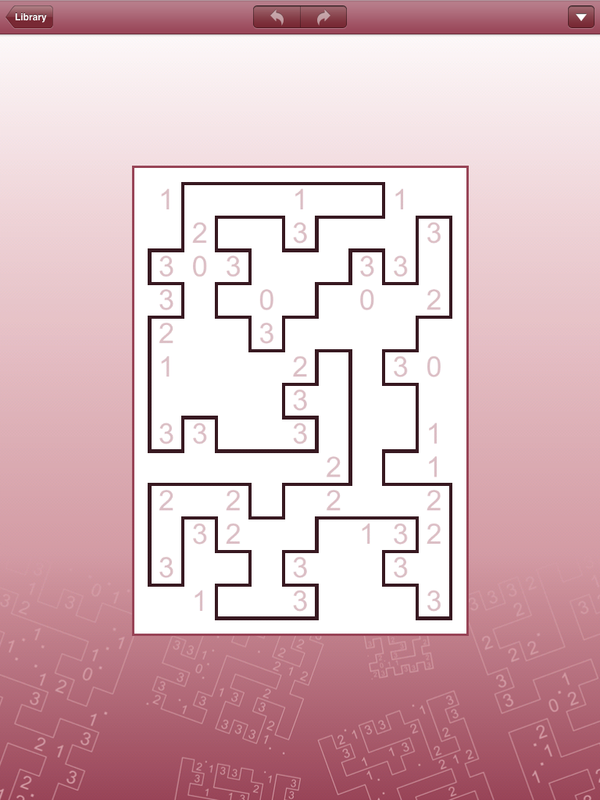 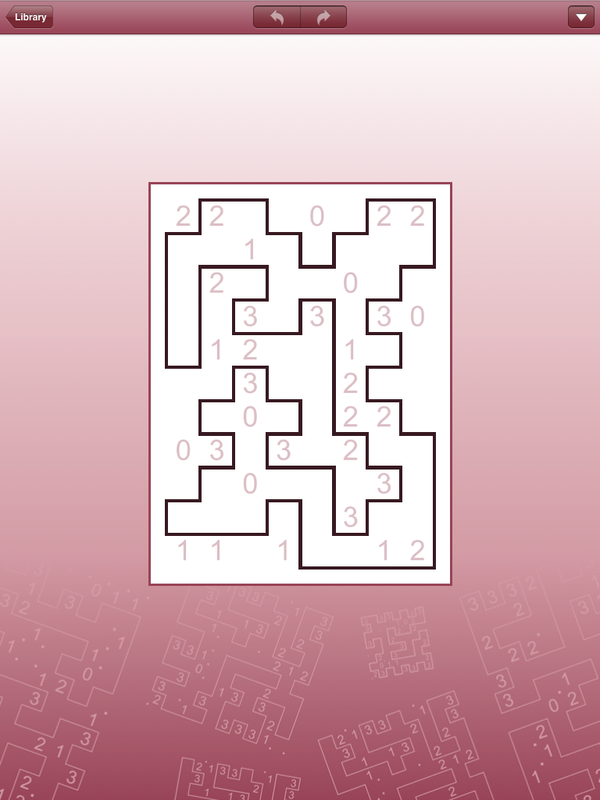 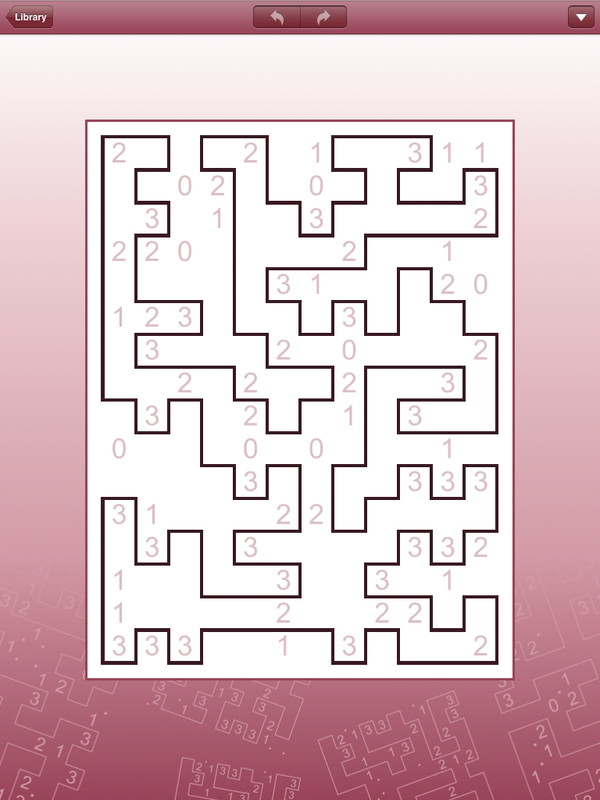 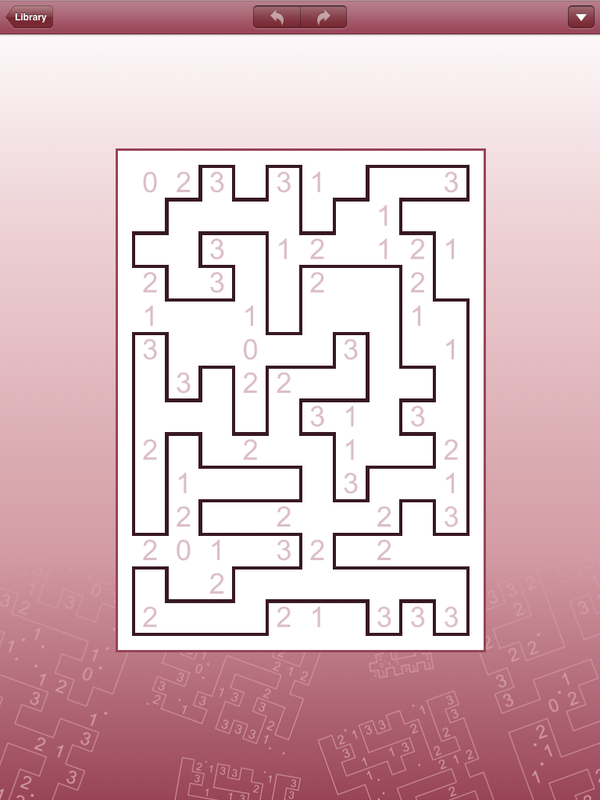 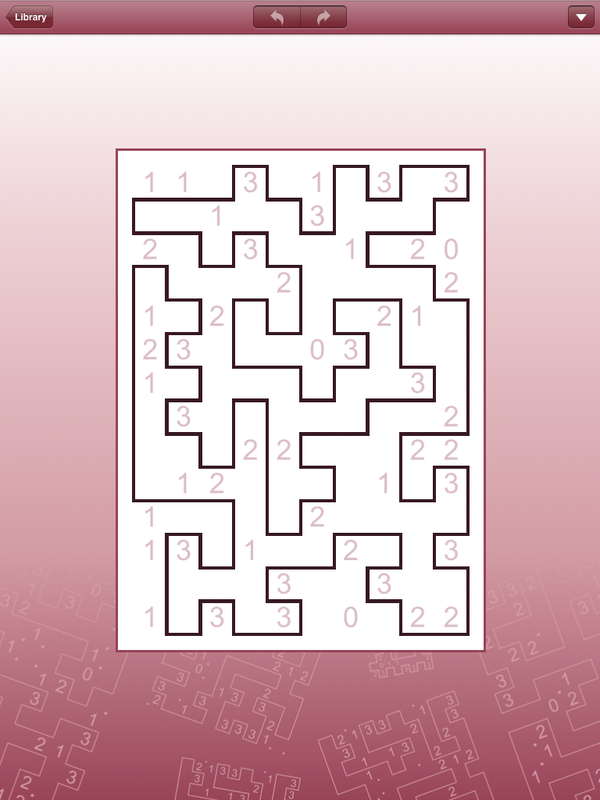 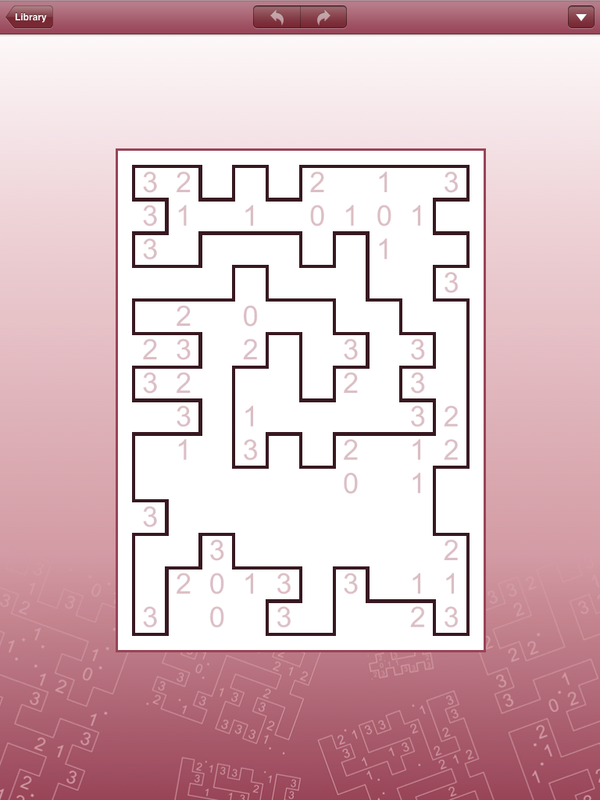 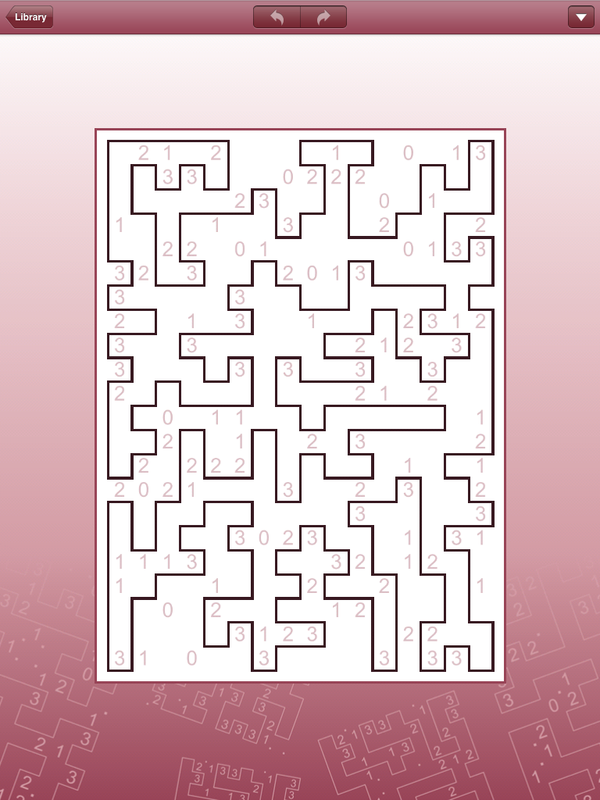 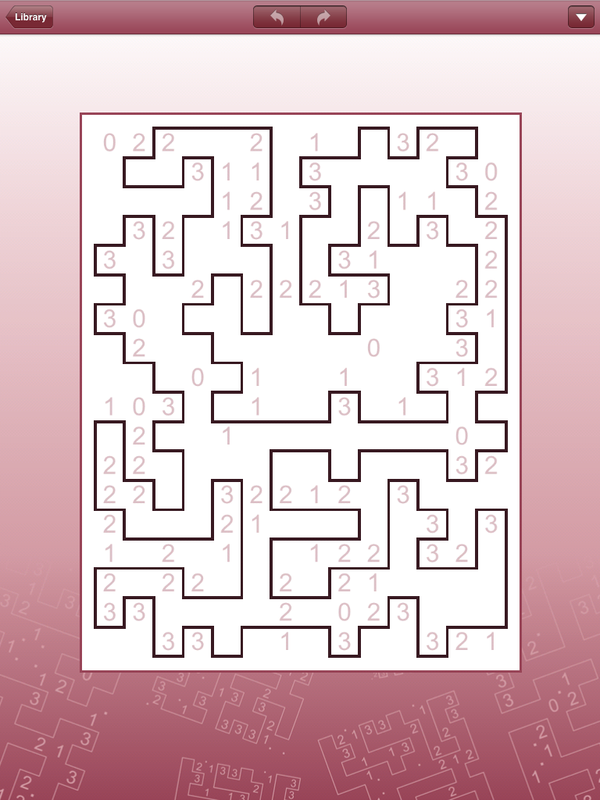 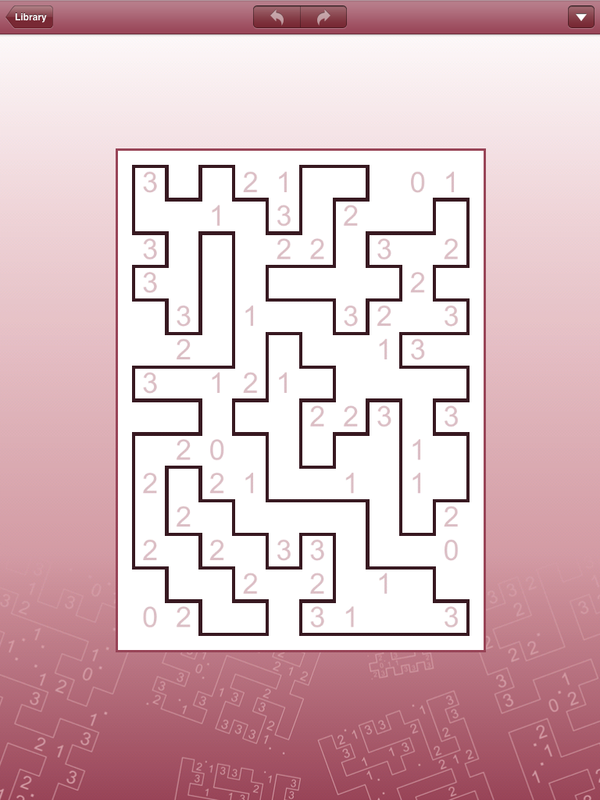 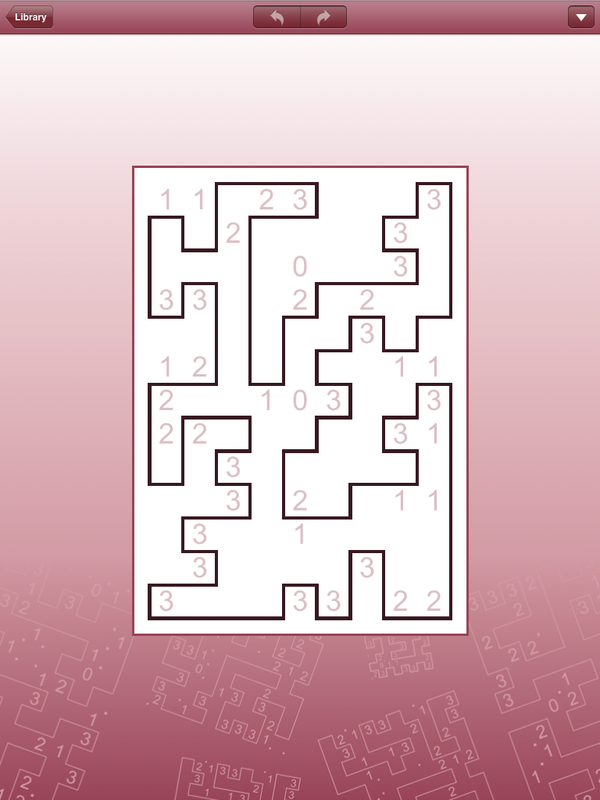 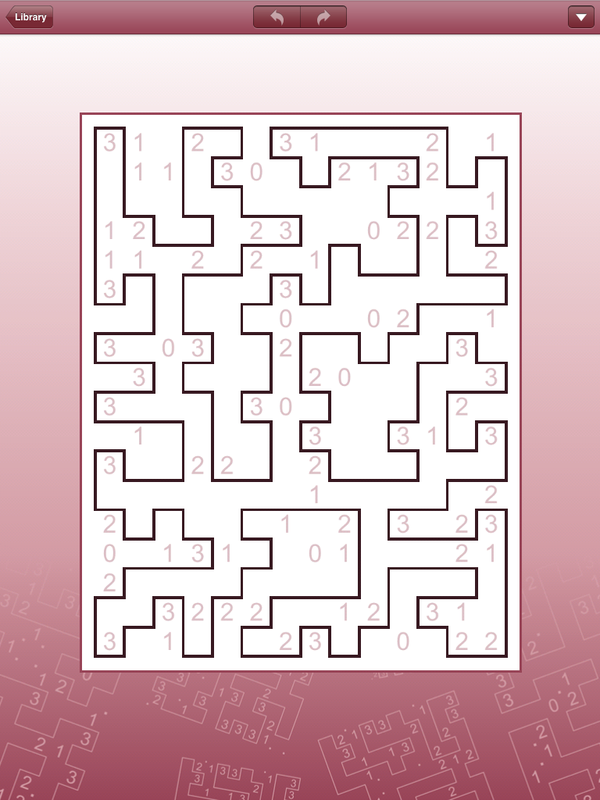 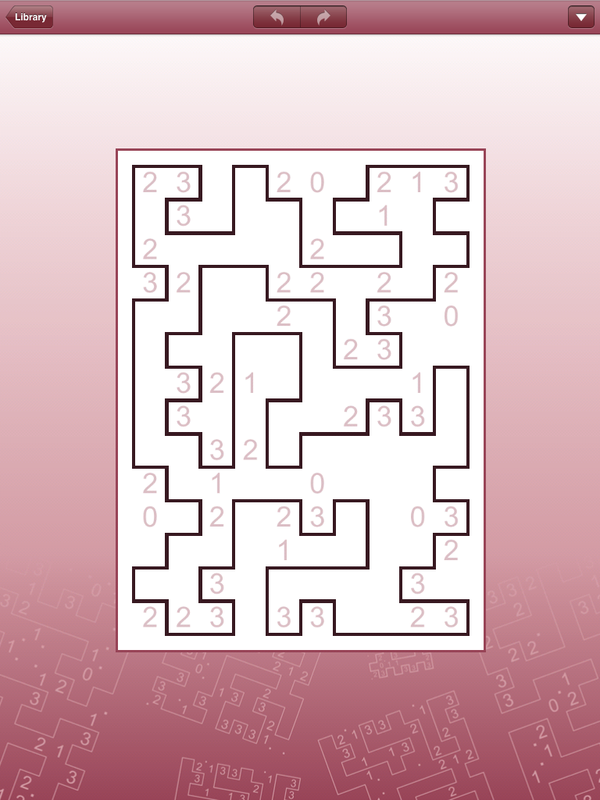 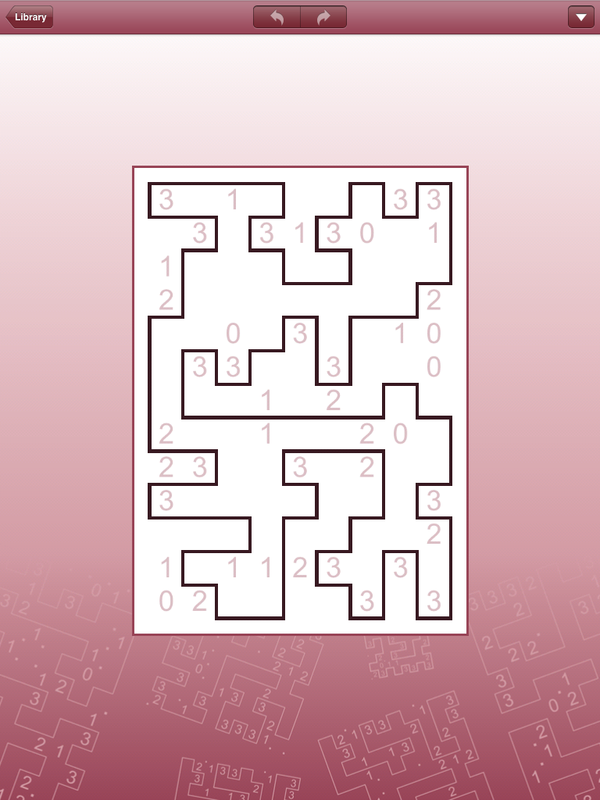 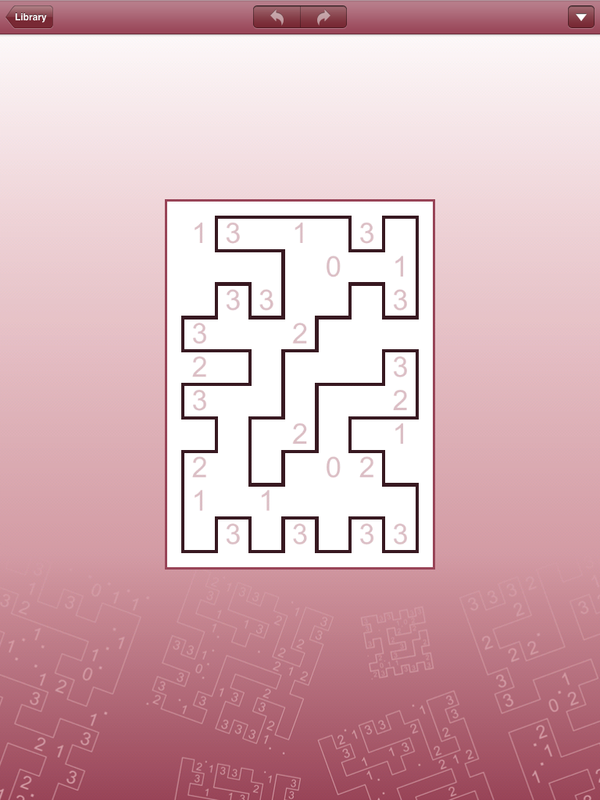 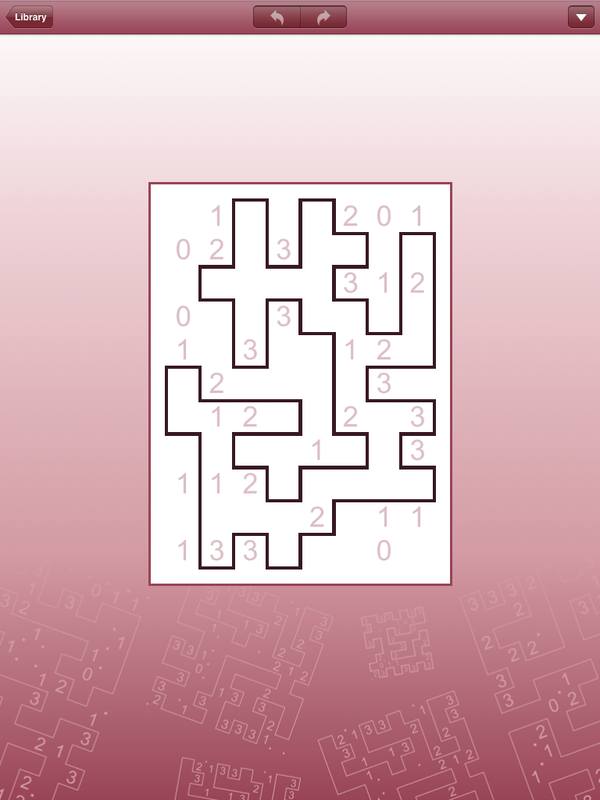 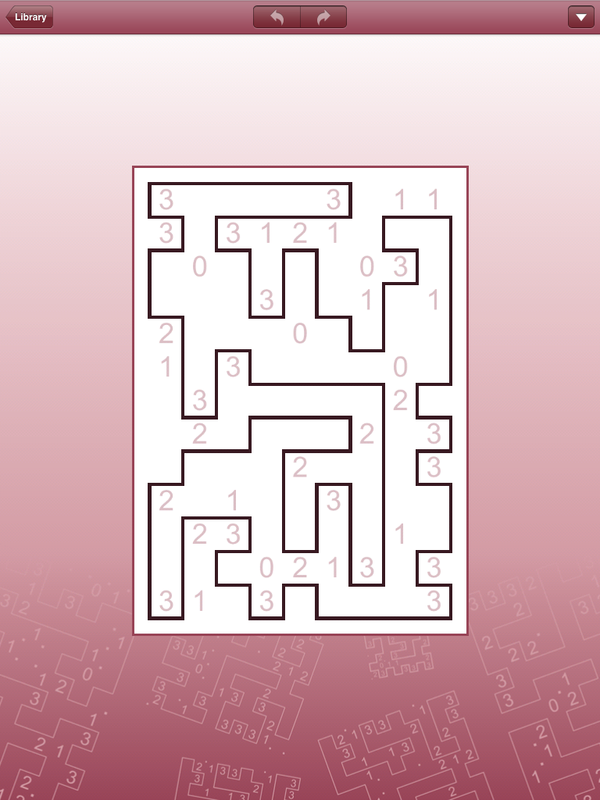 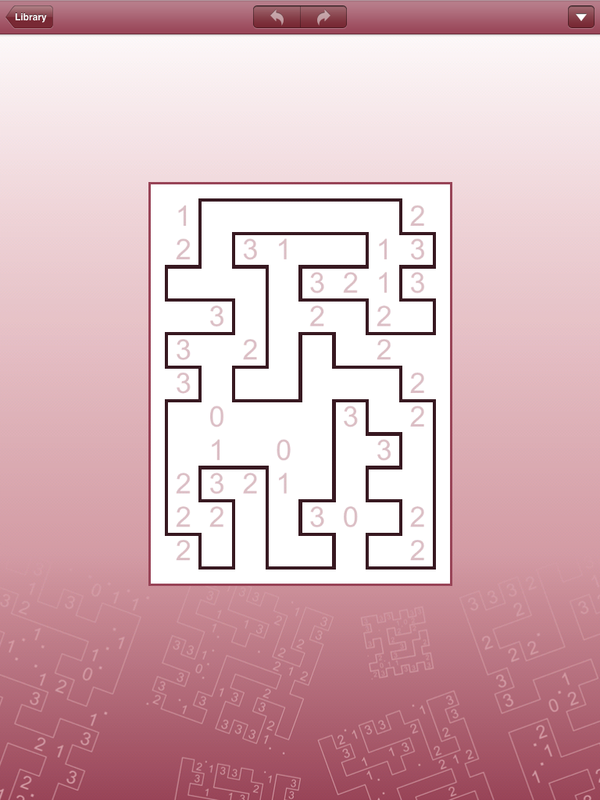 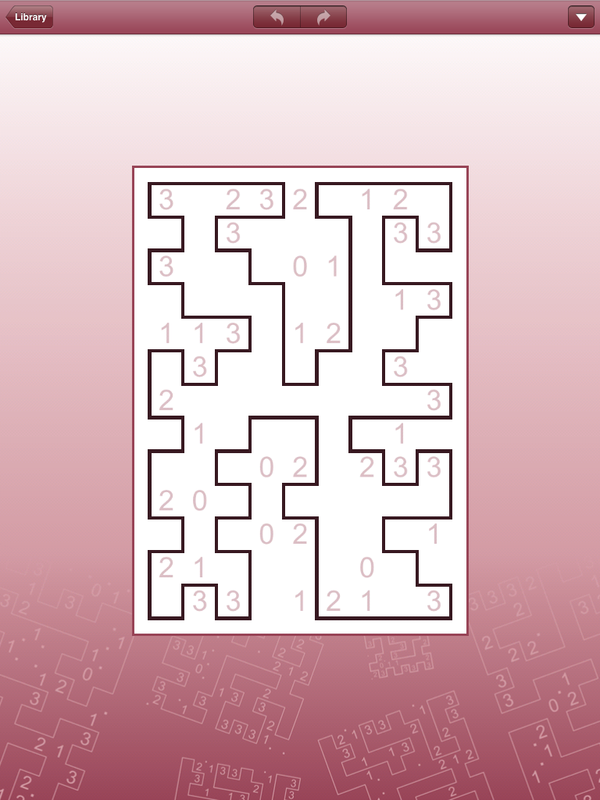 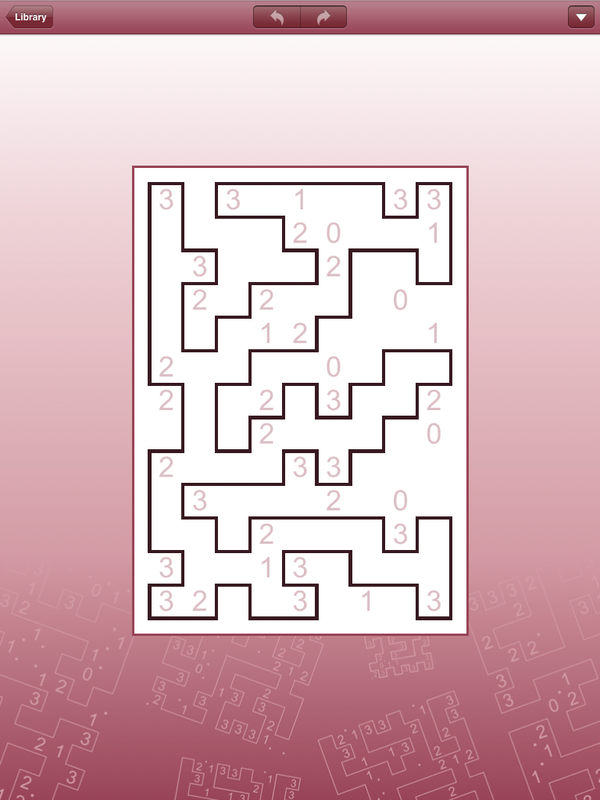 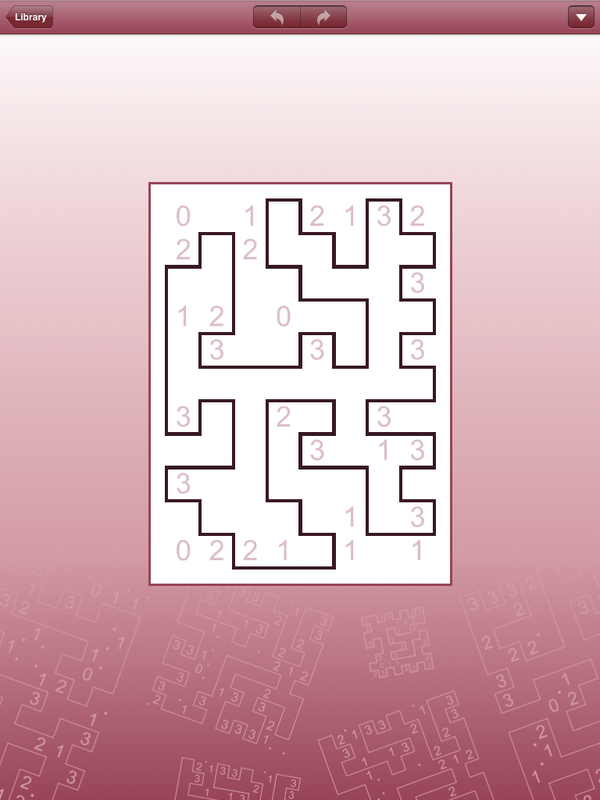 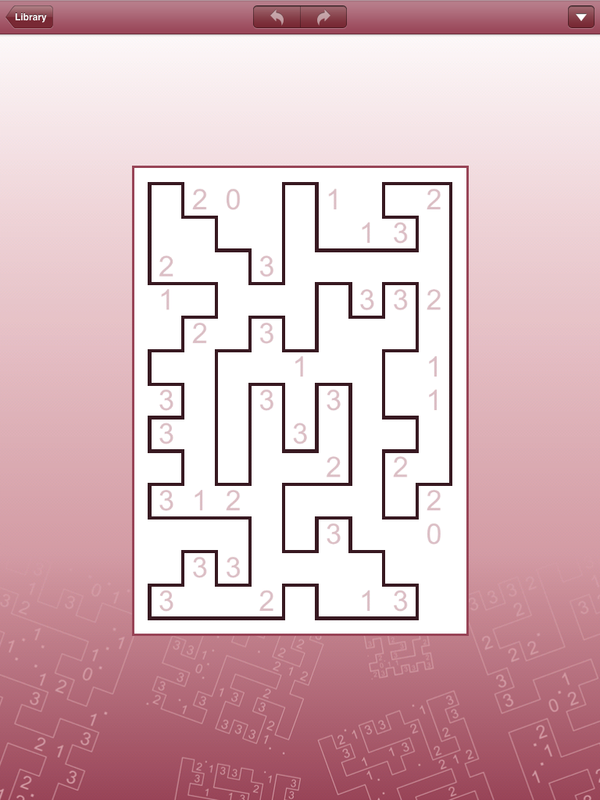 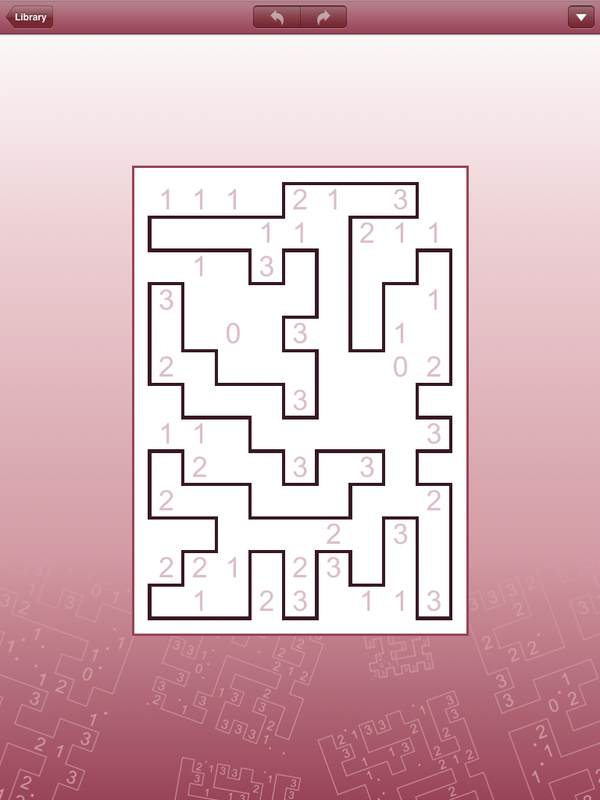 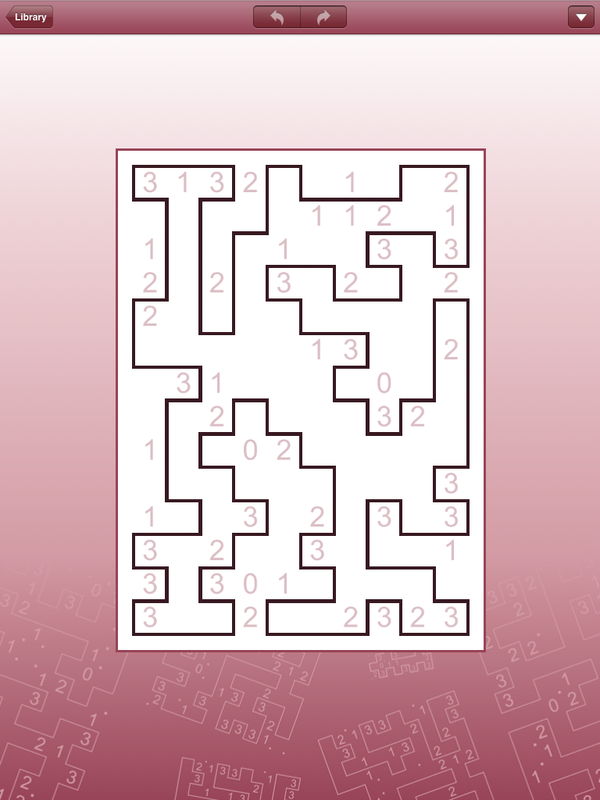 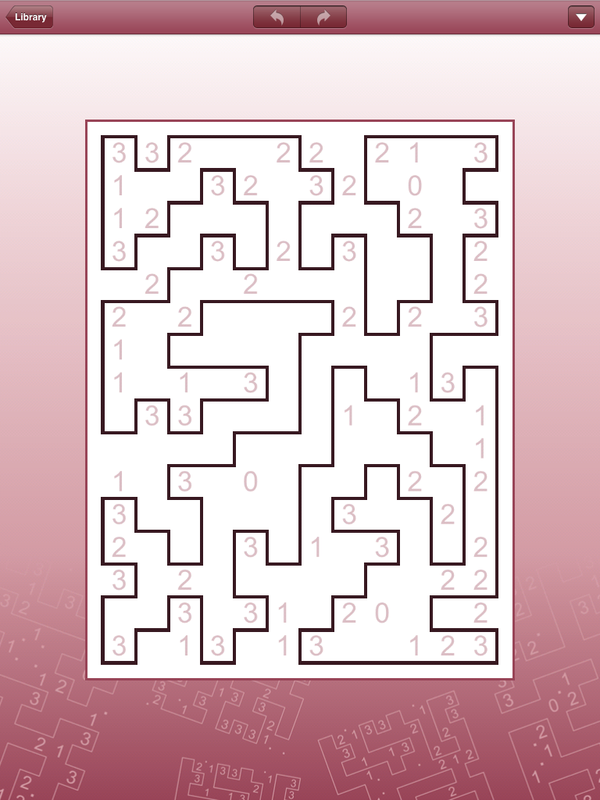 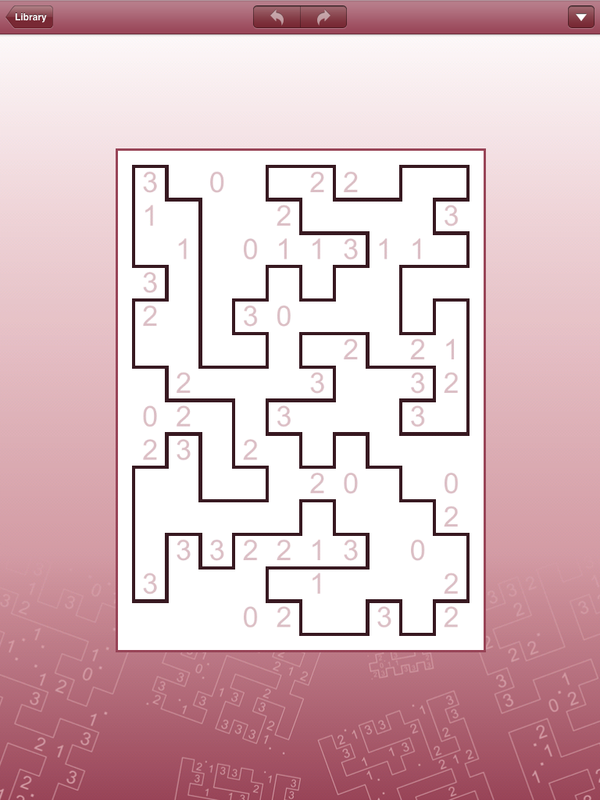 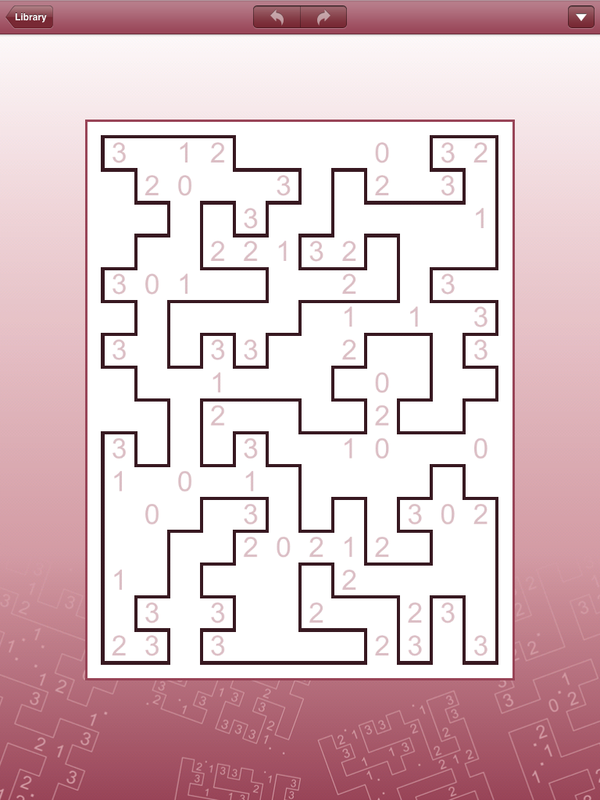 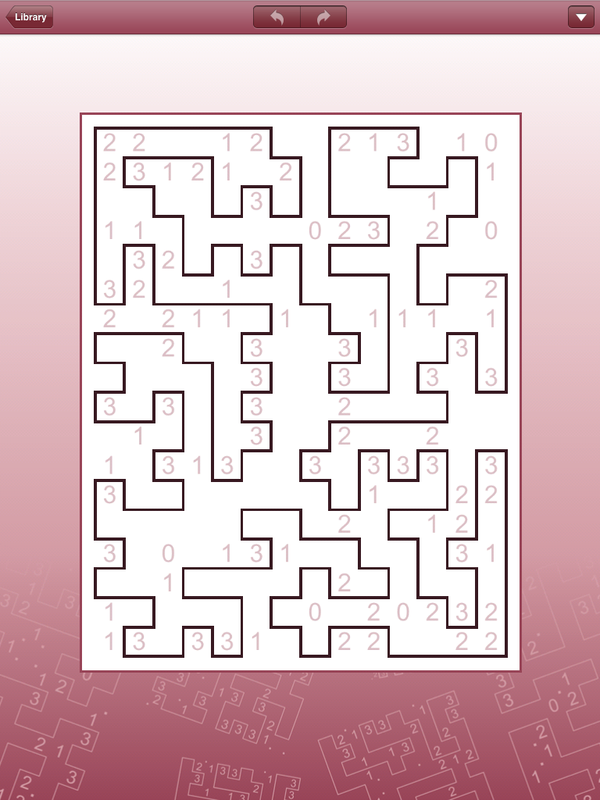 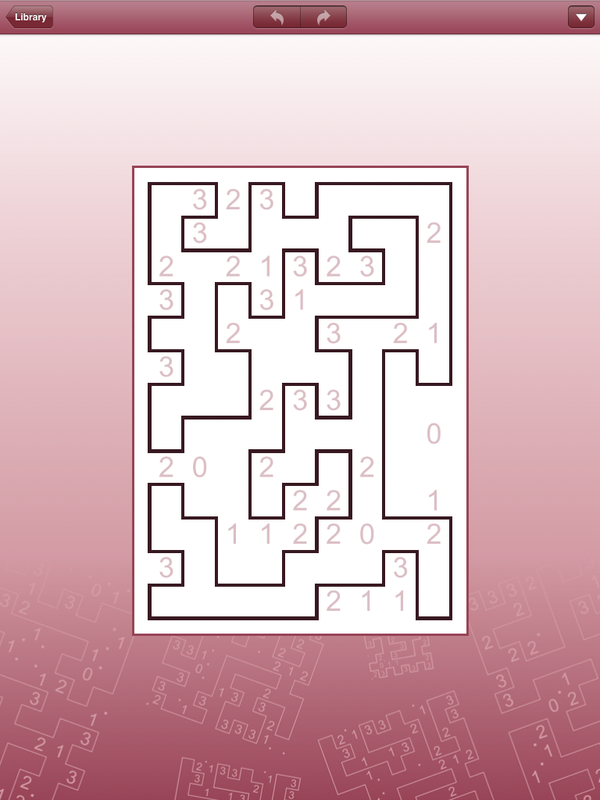 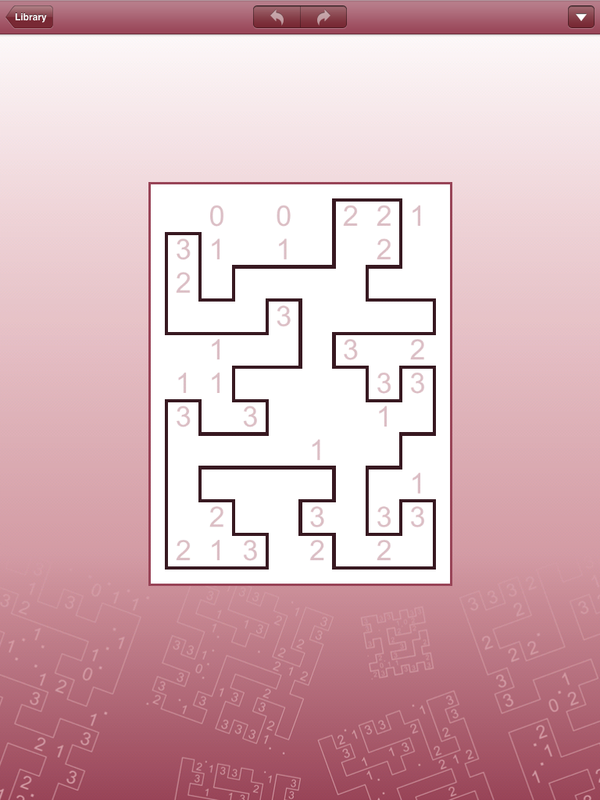 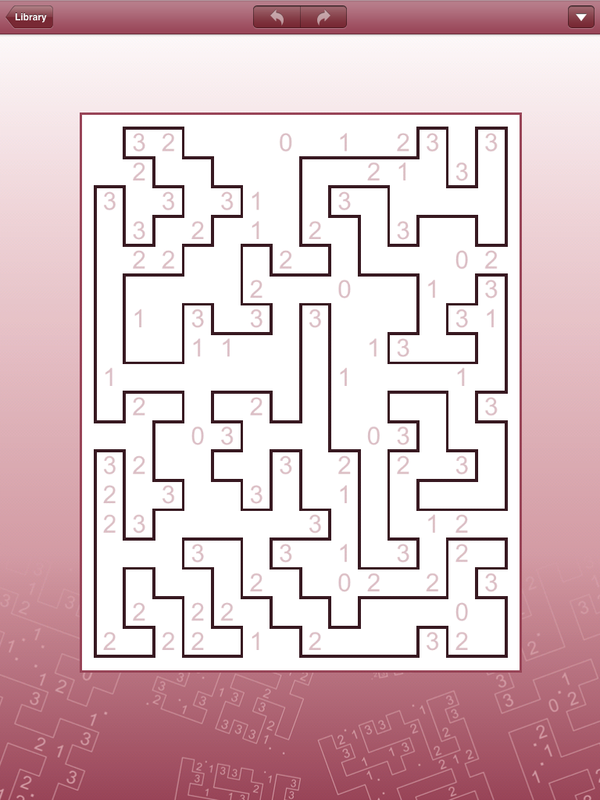 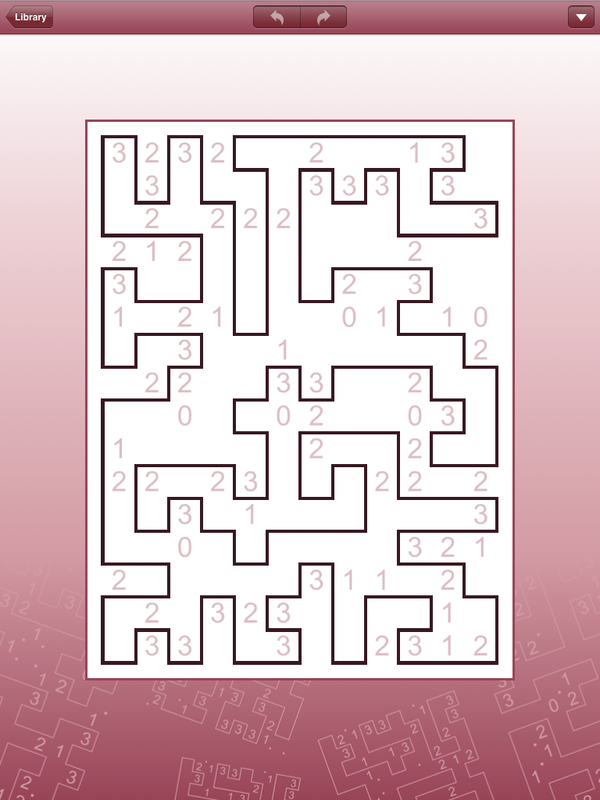 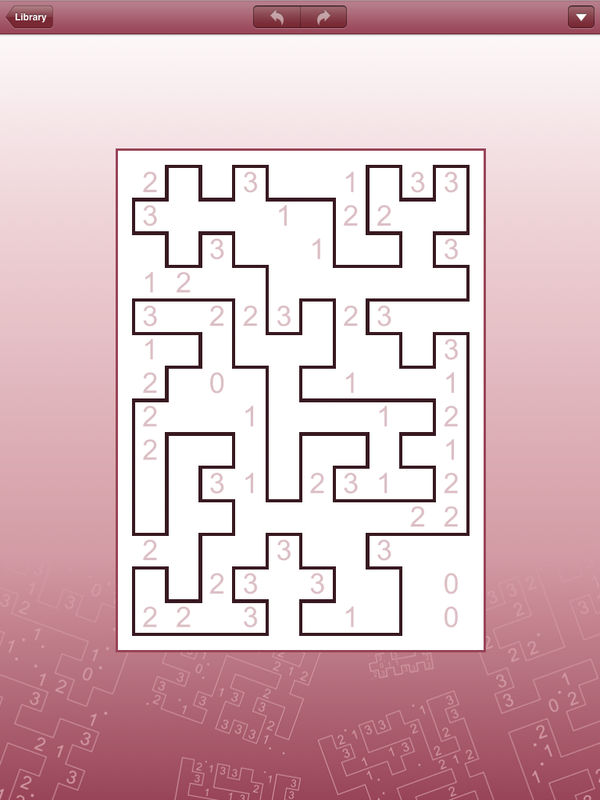 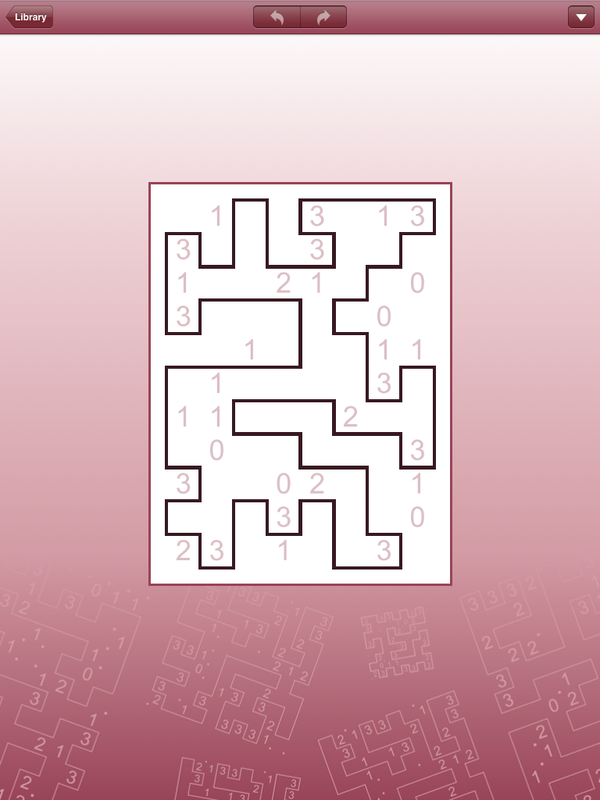 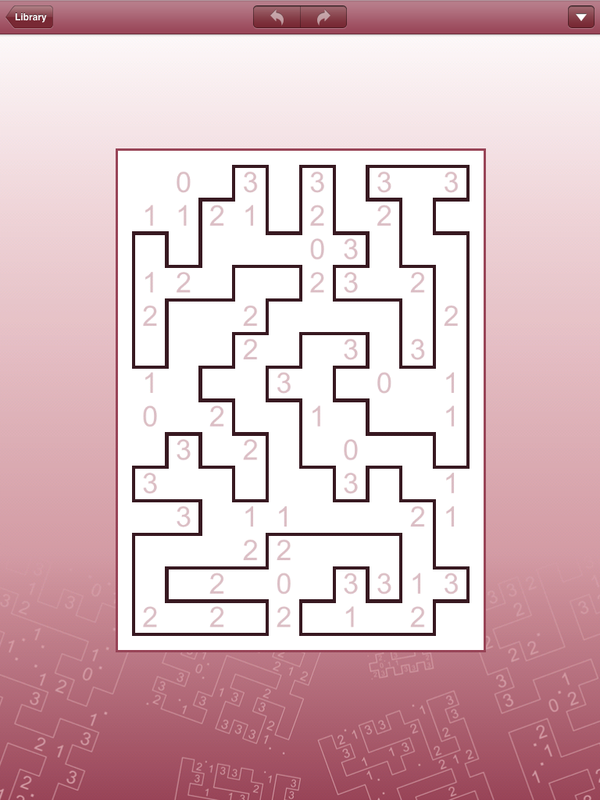 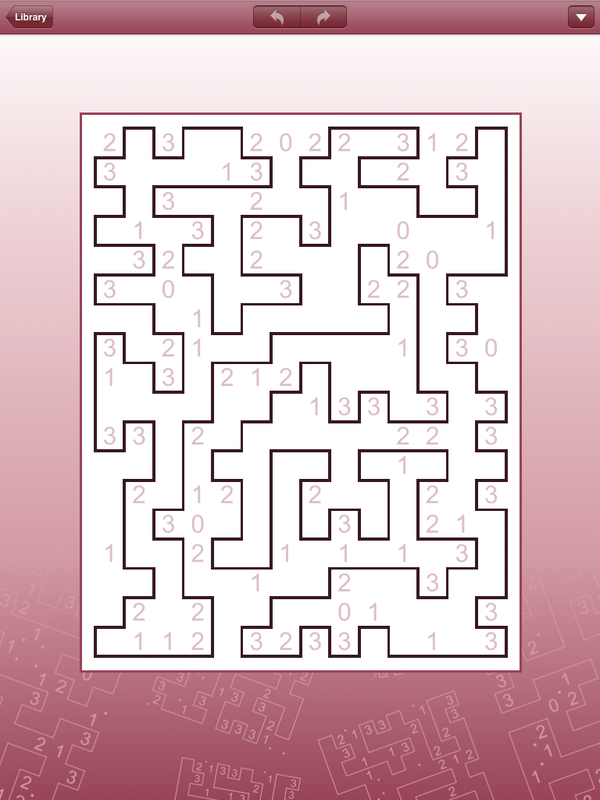 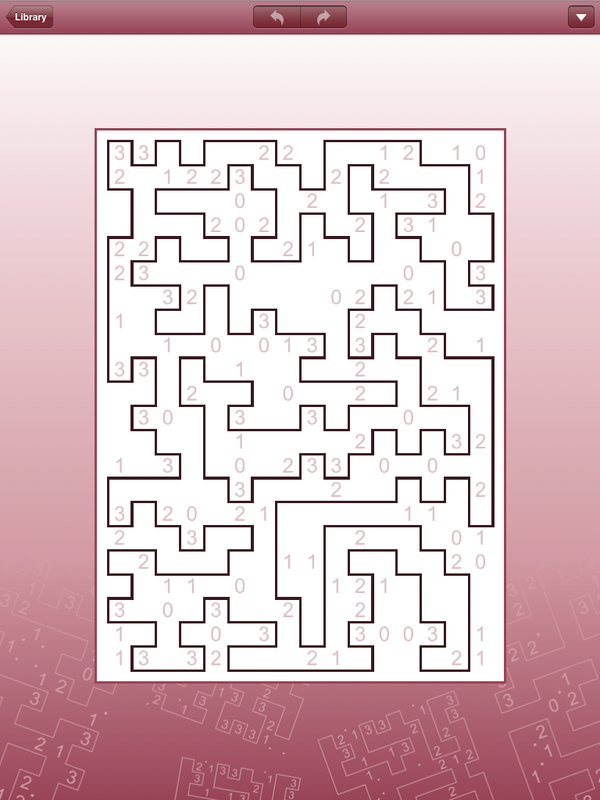 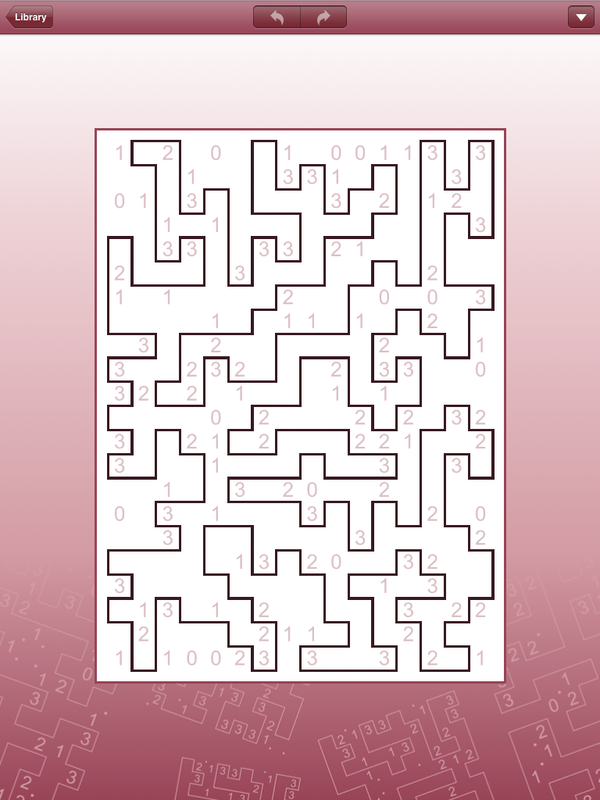 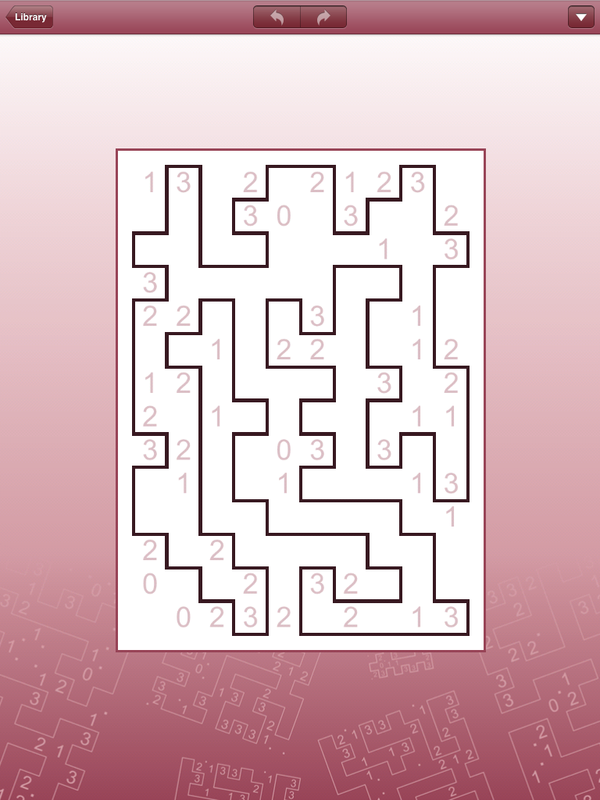 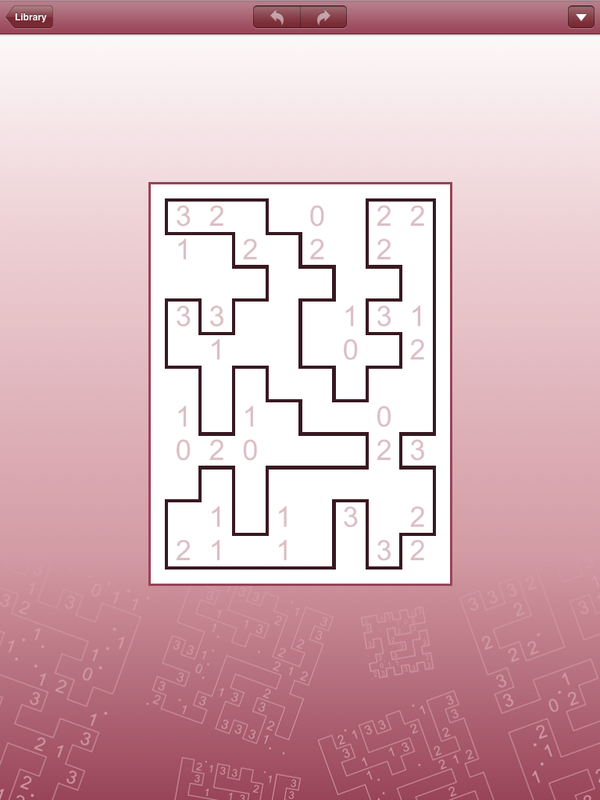 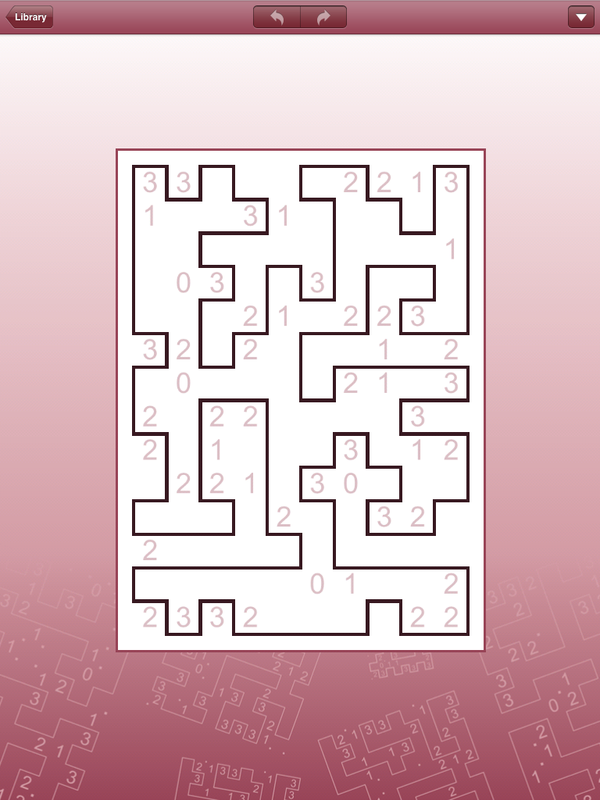 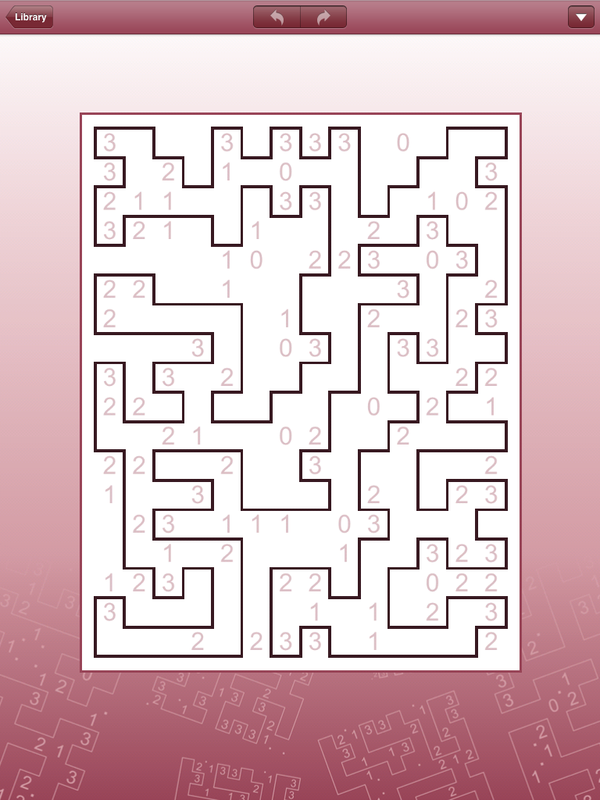 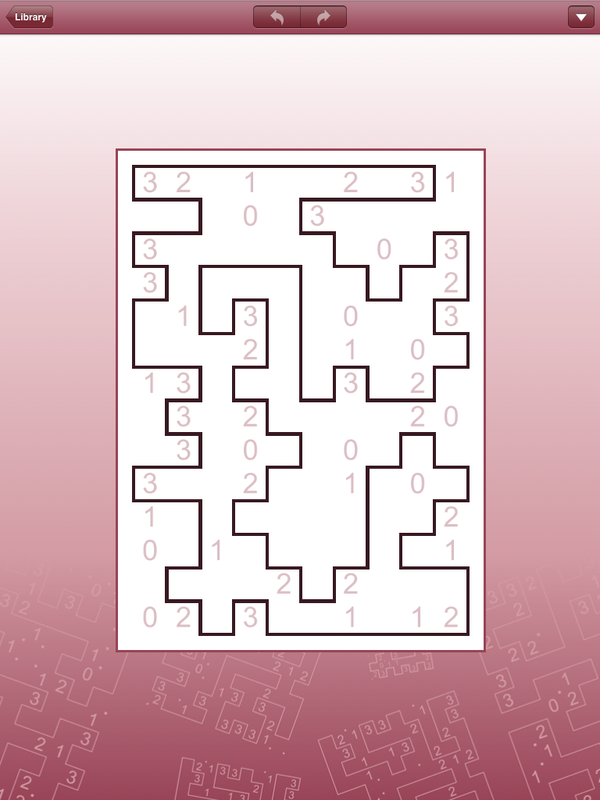 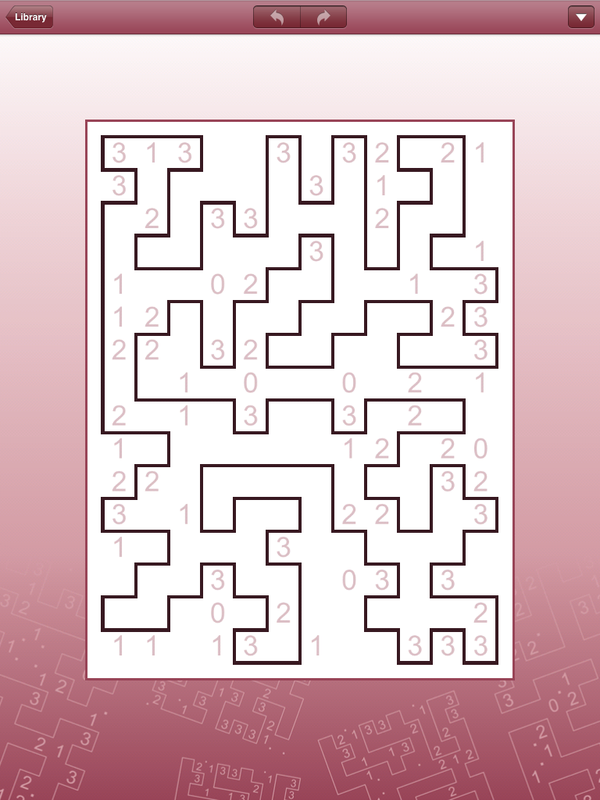 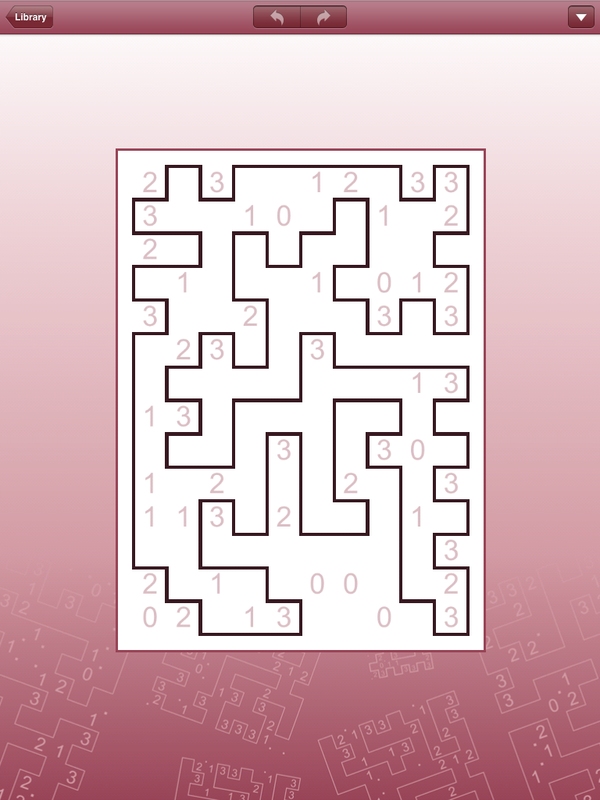 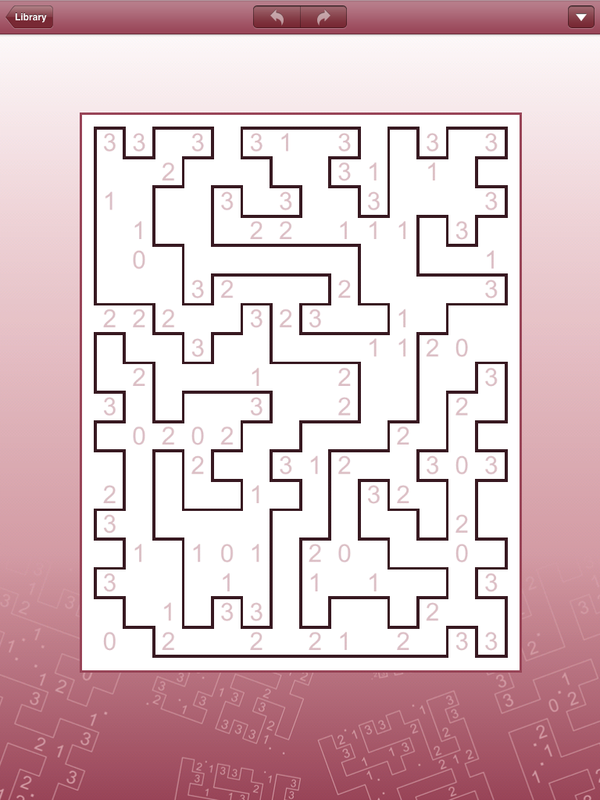 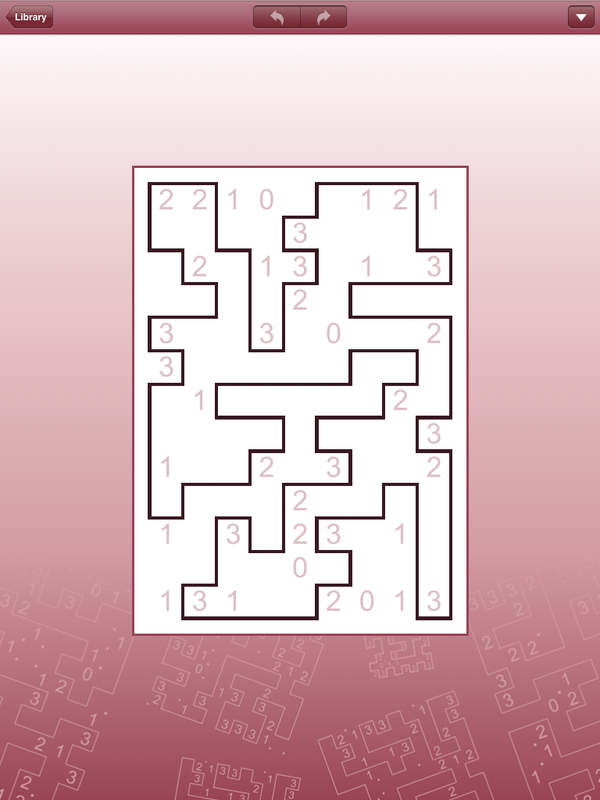 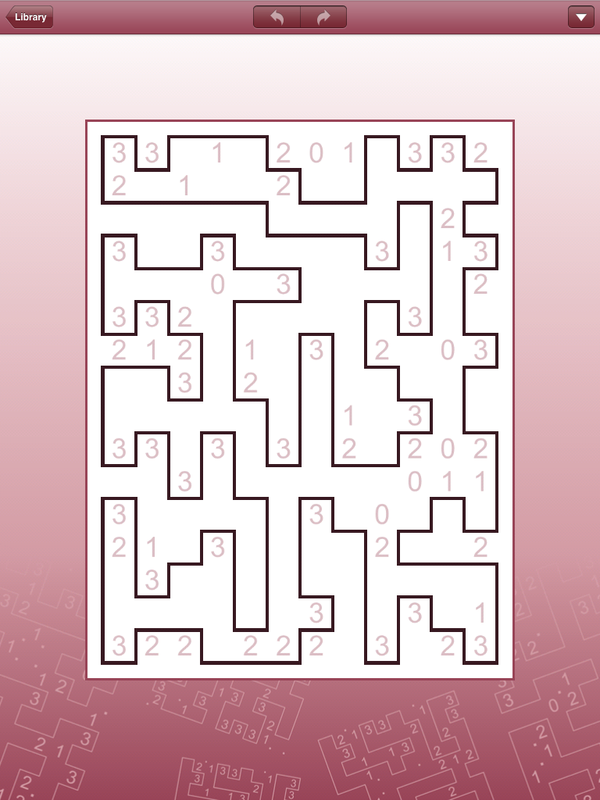 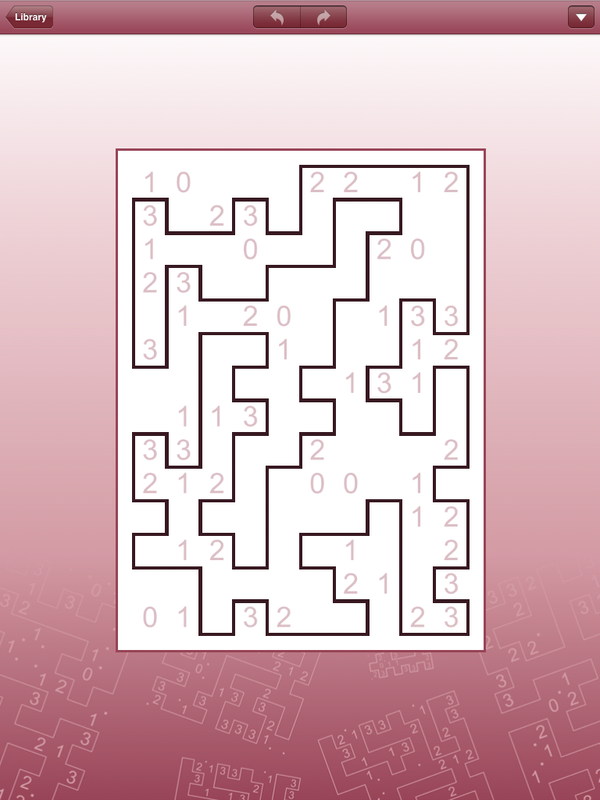 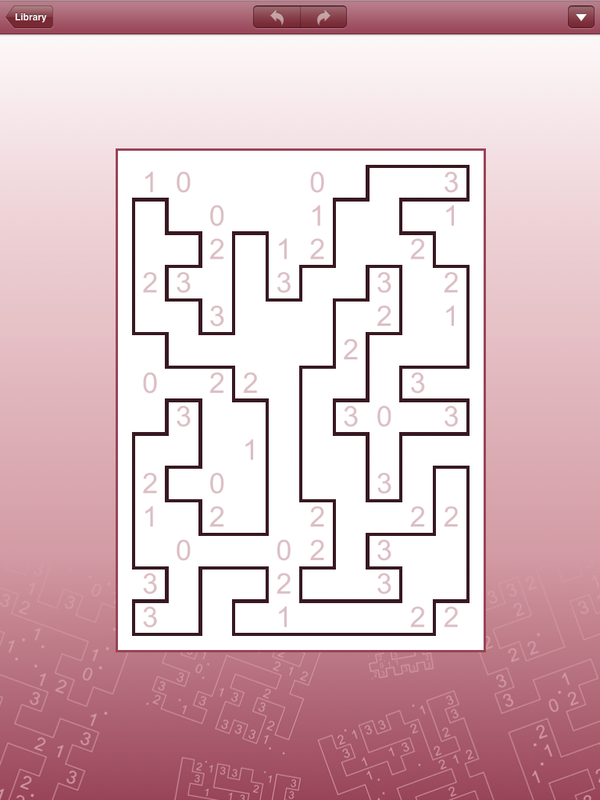 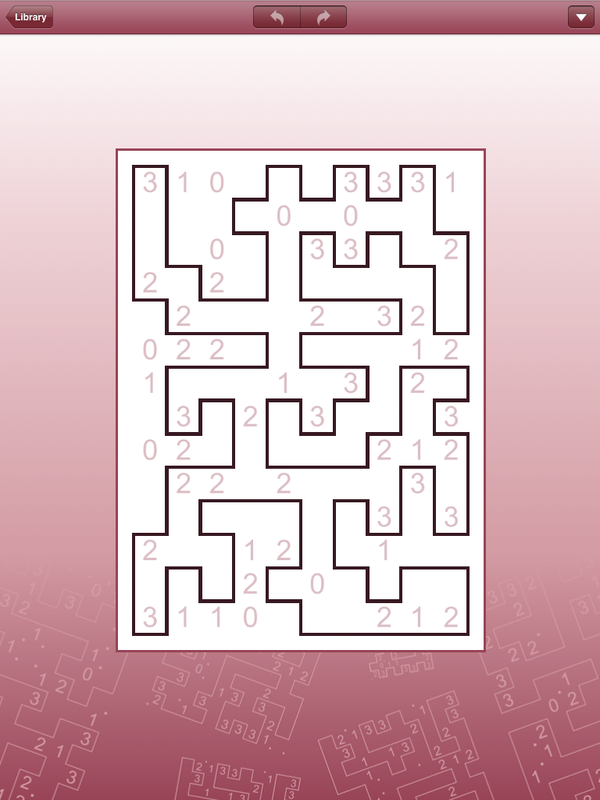 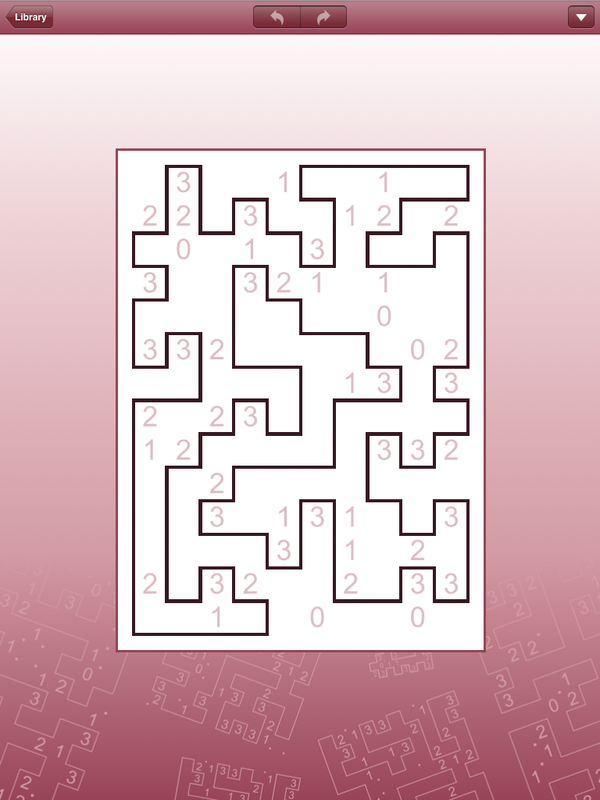 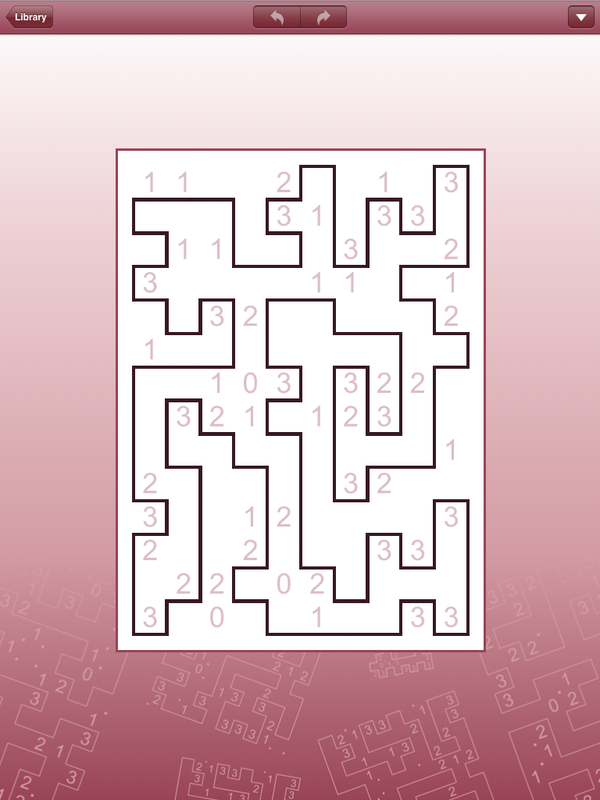 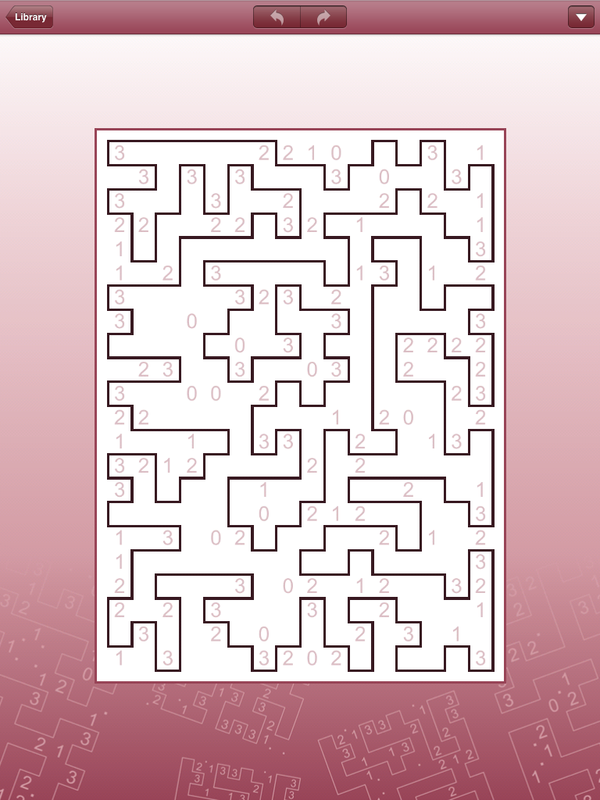 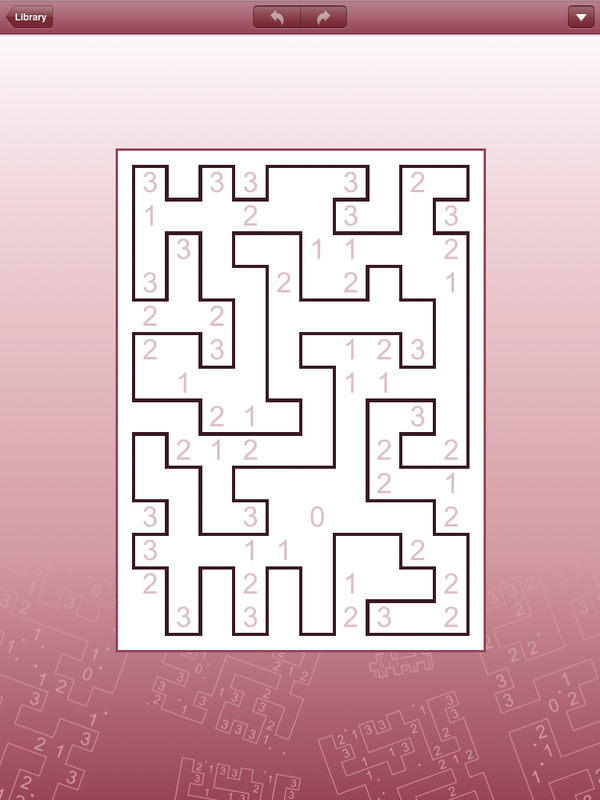 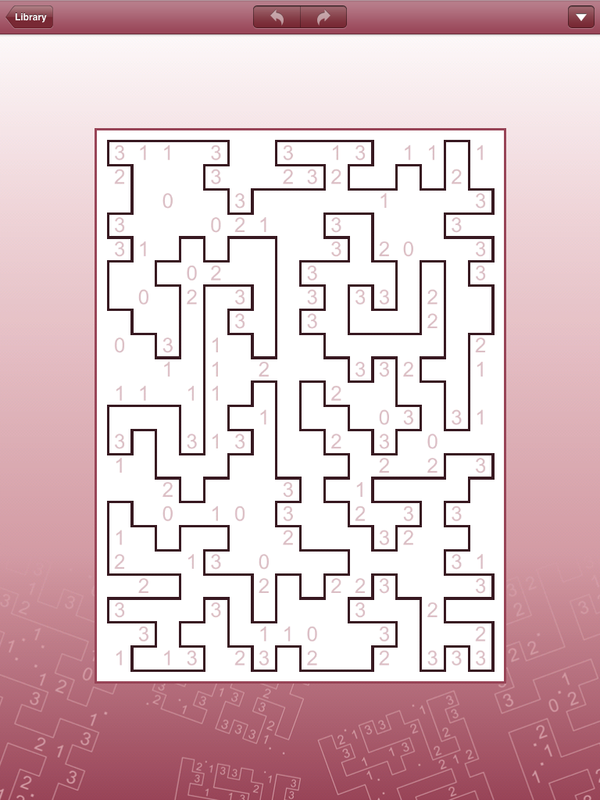 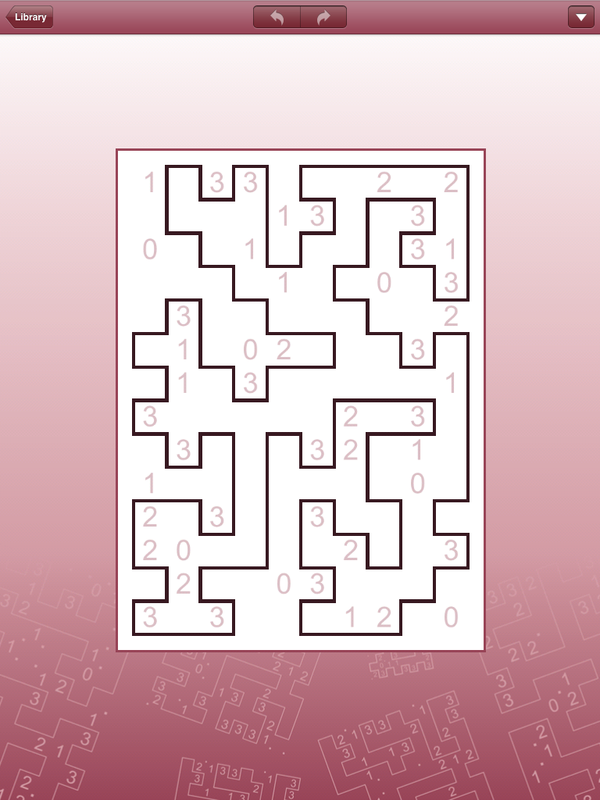 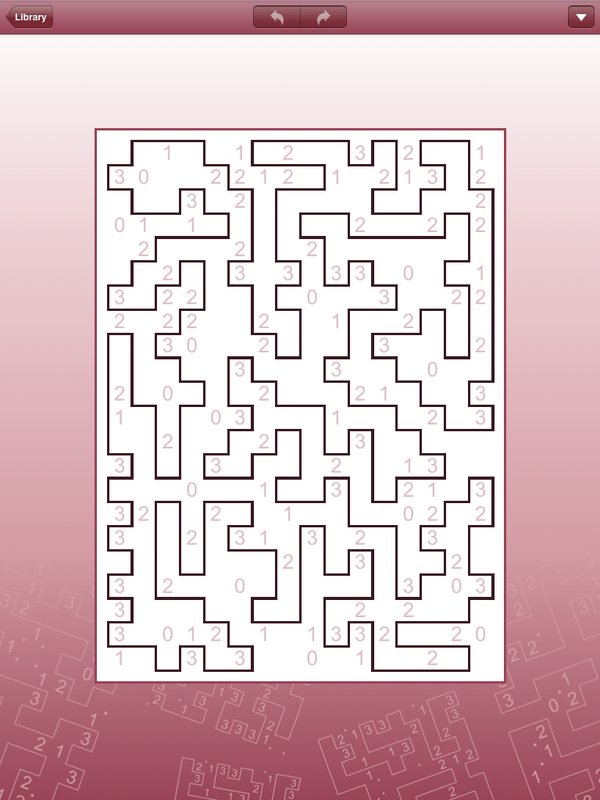 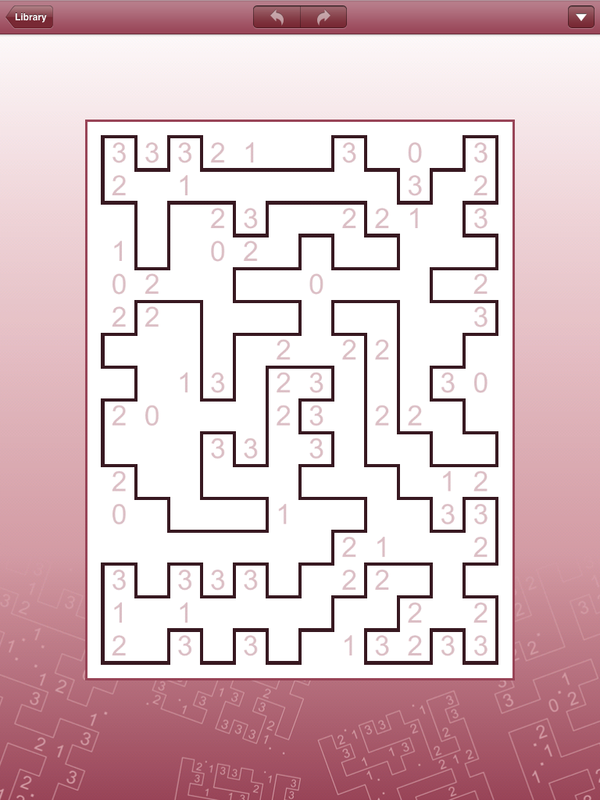 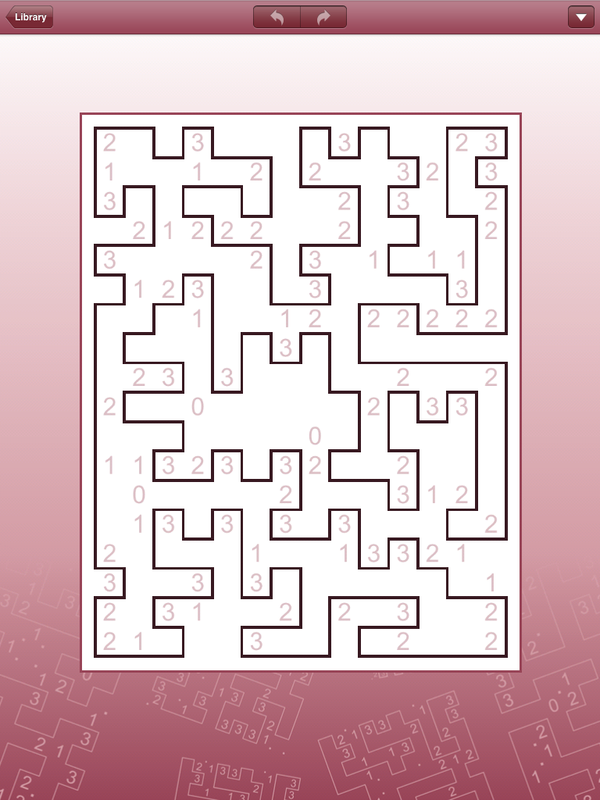 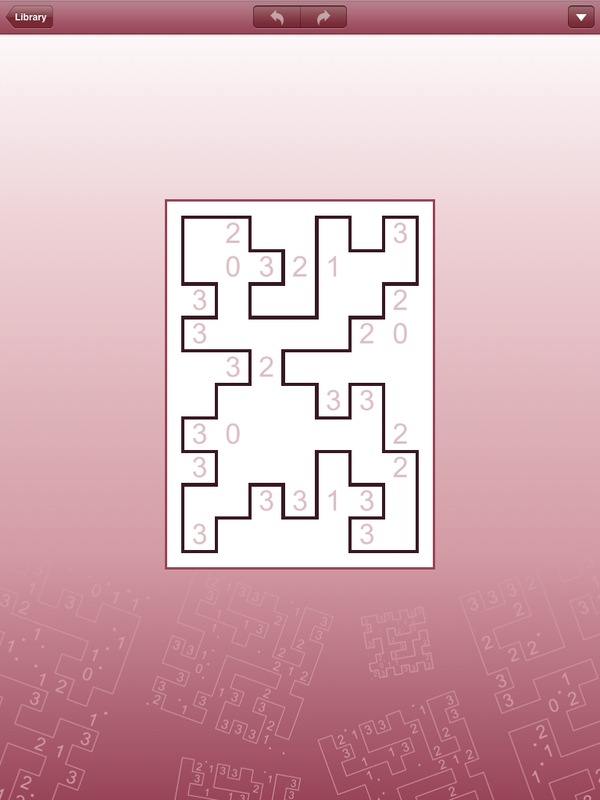 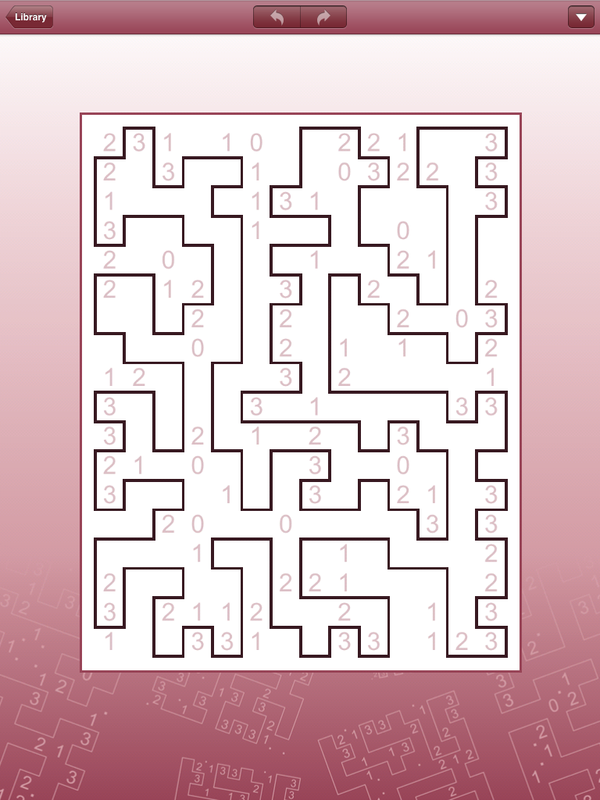 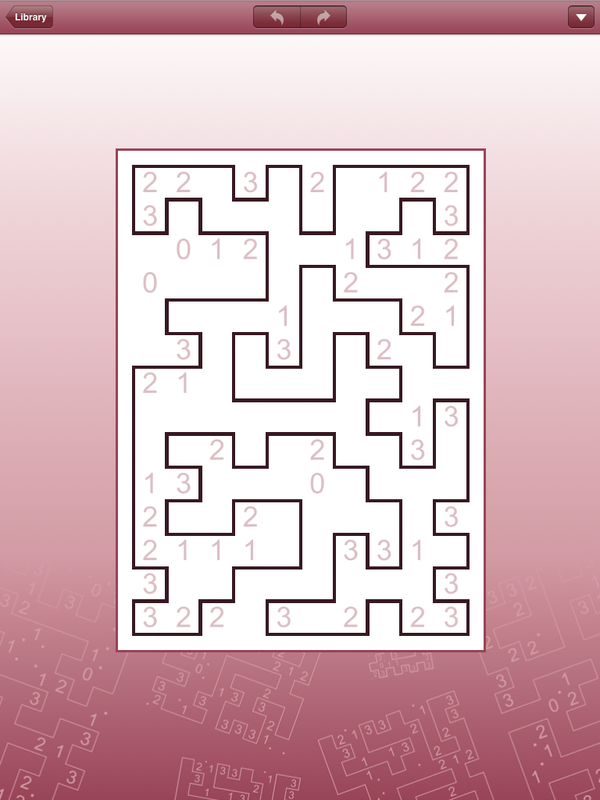 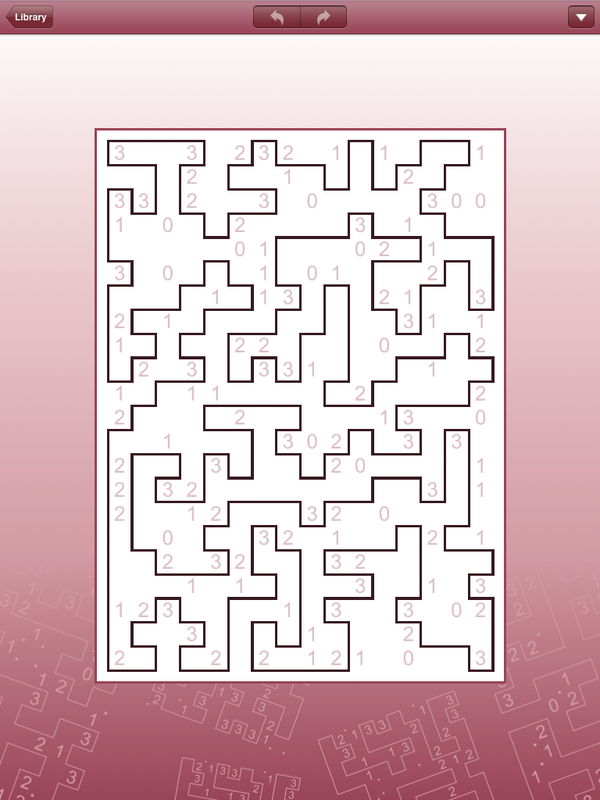 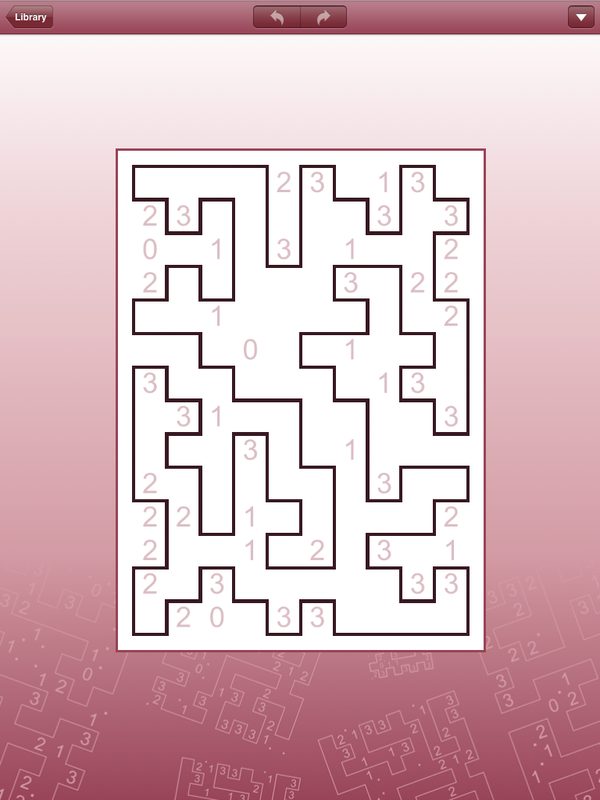 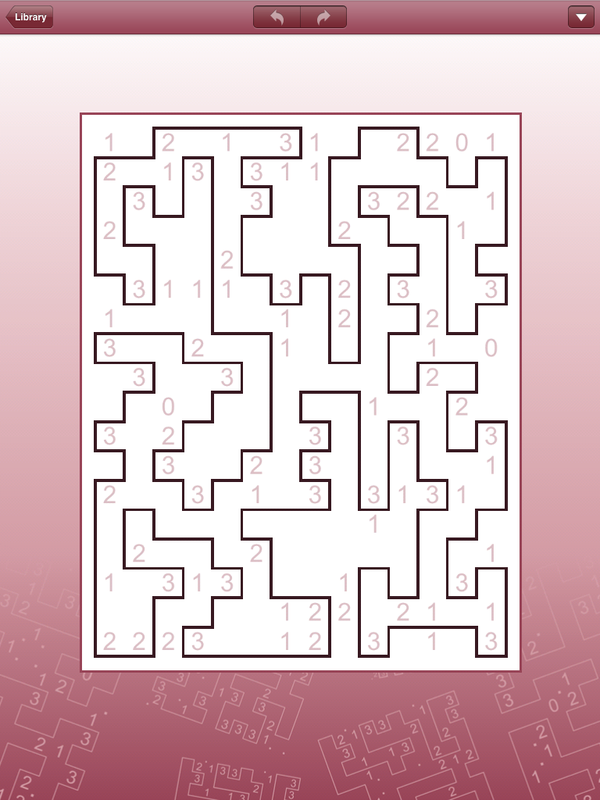 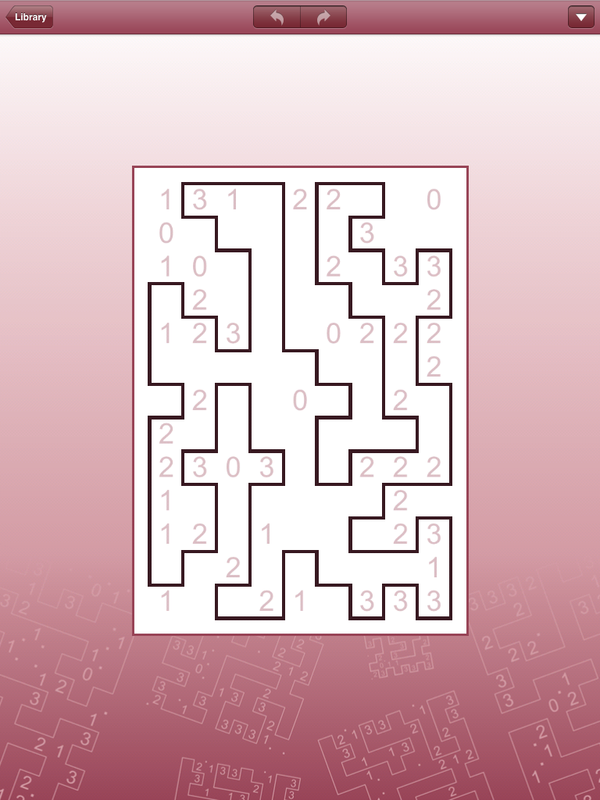 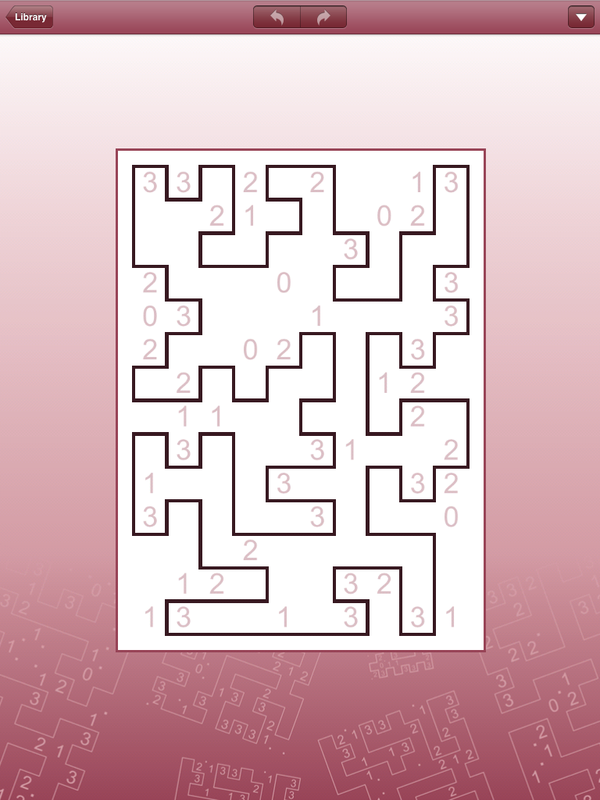 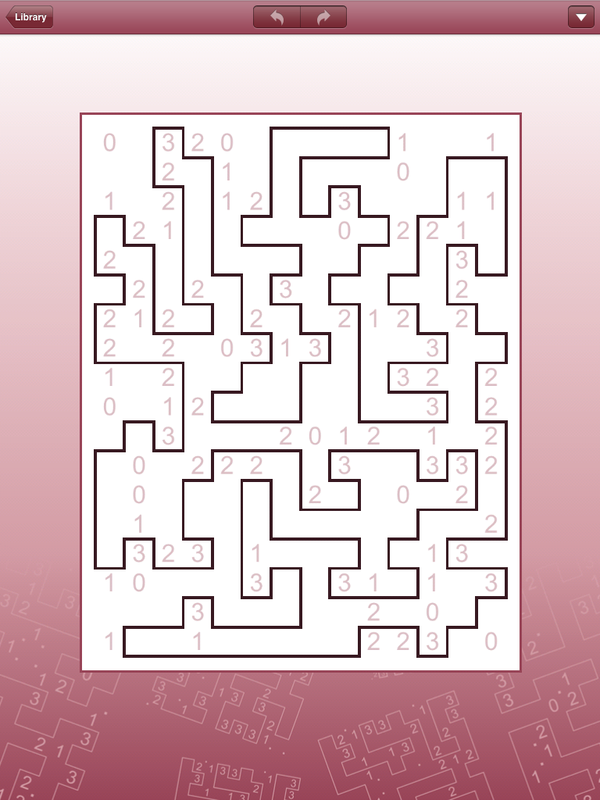 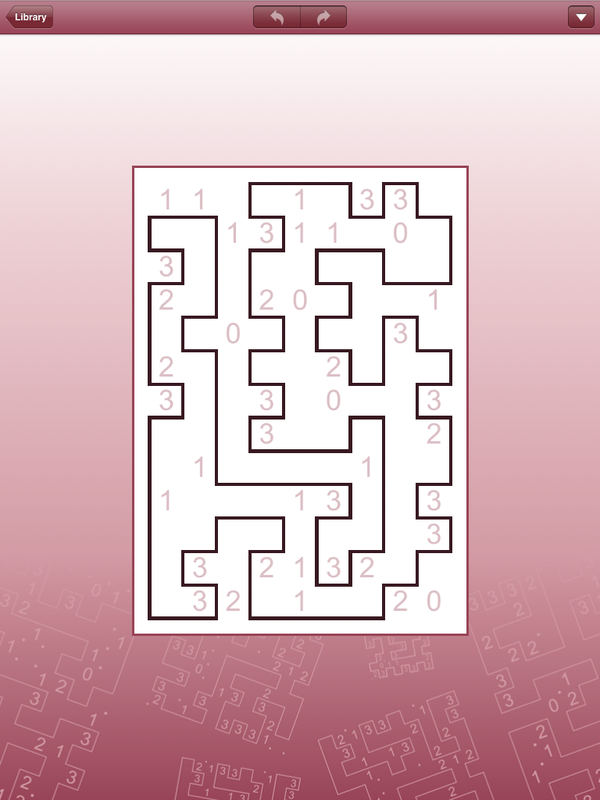 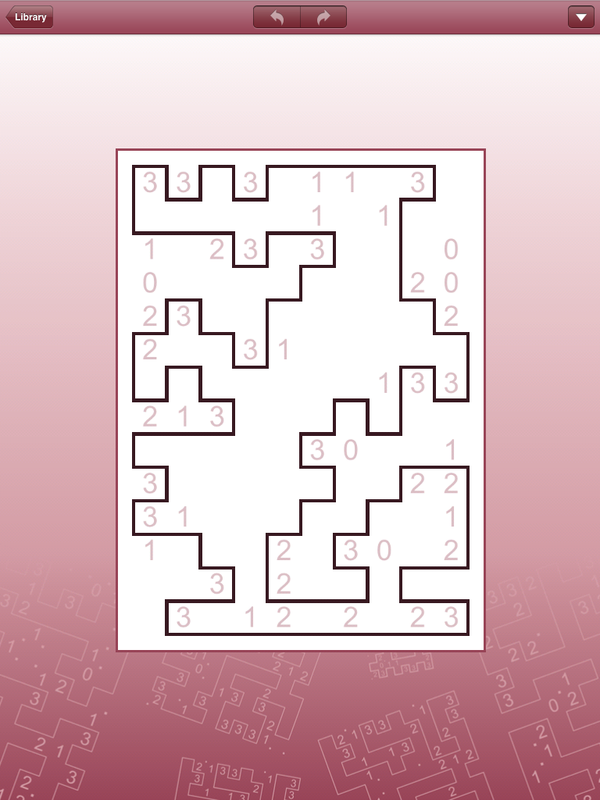 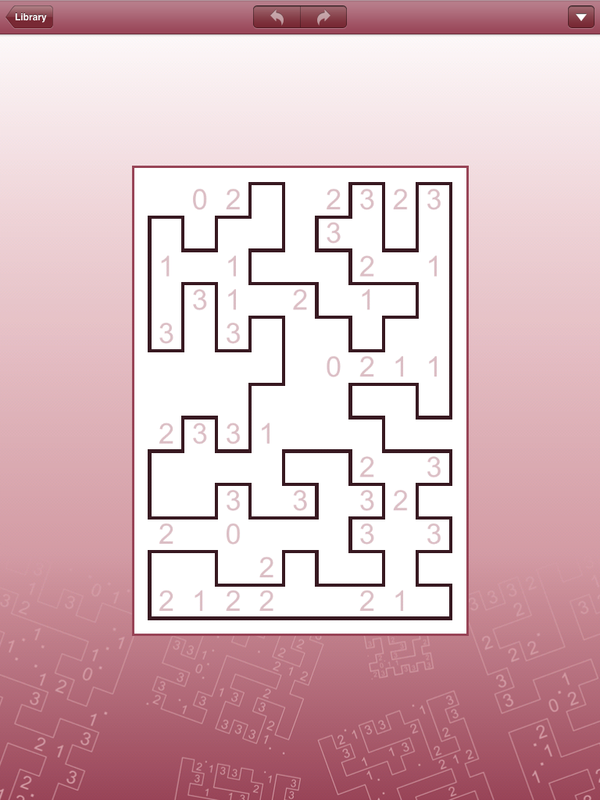 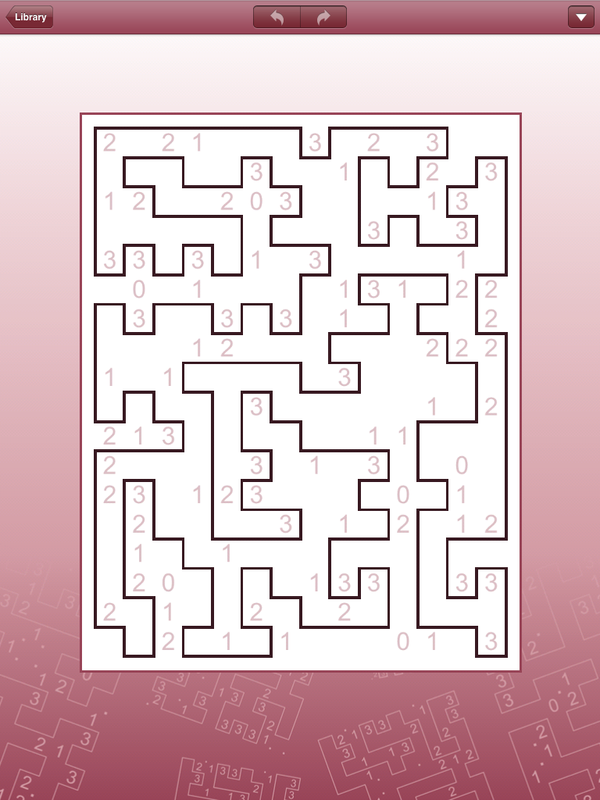 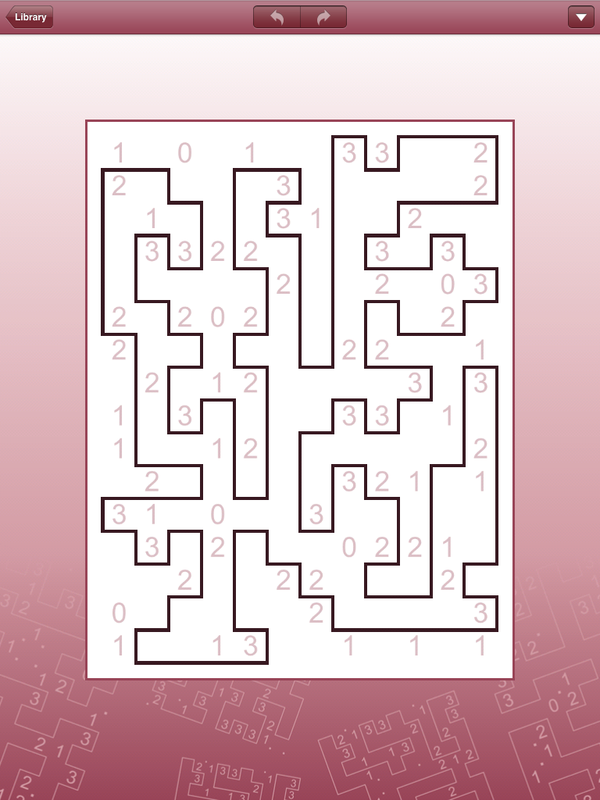 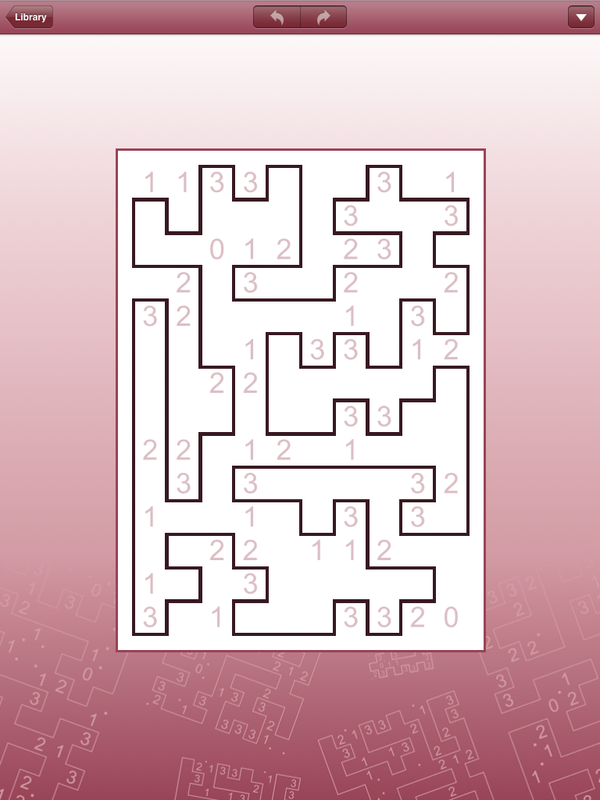 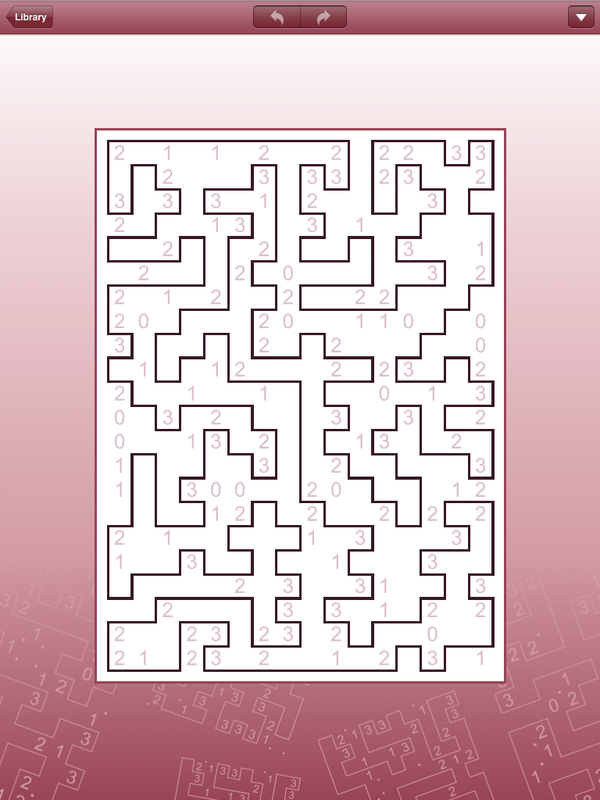 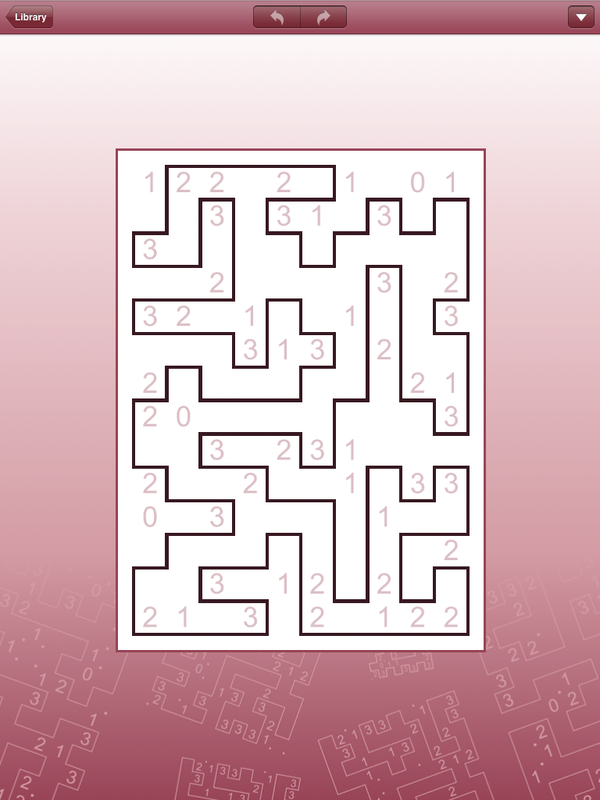 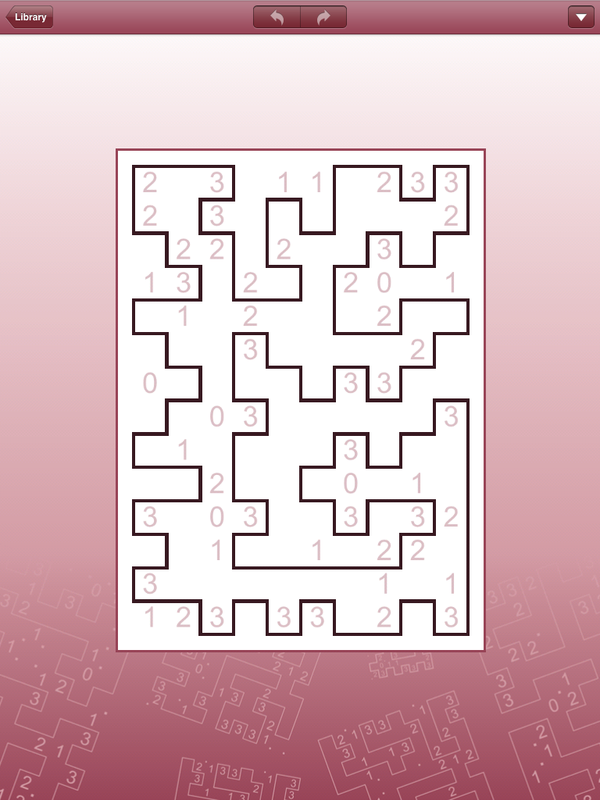 There are 120 puzzles included with the free download, with additional puzzles available via in-app purchase bundles of varying difficulties and sizes. 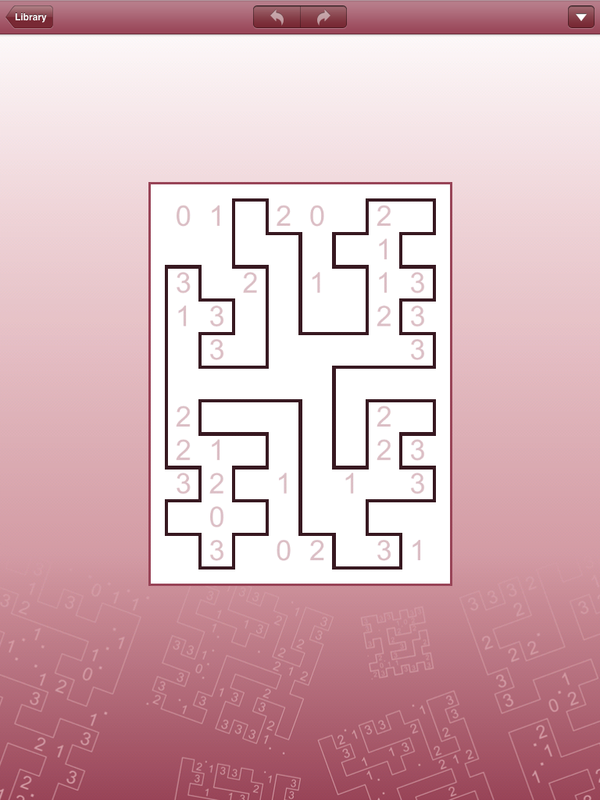 Like everything else from Conceptis, Slitherlink is polished and puts the focus entirely on the puzzles, as it should be. 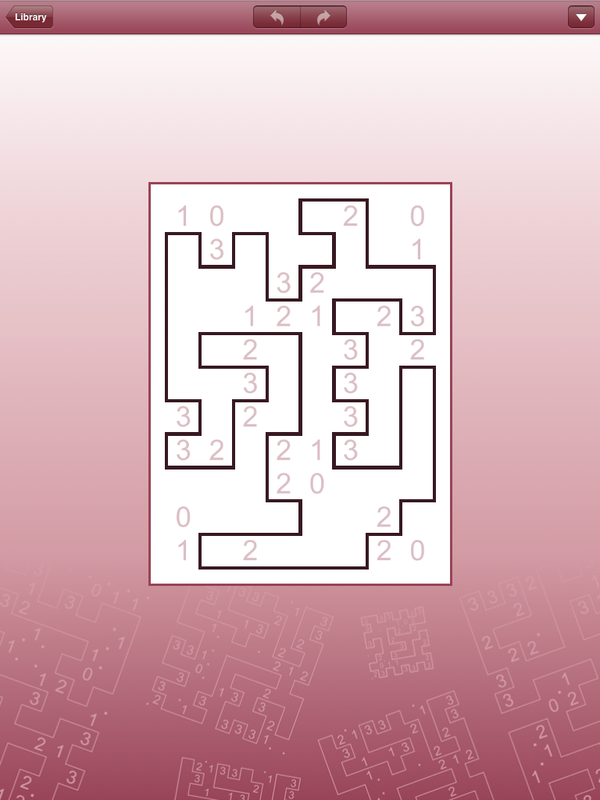 Conceptis Slitherlink Walkthrough now available!